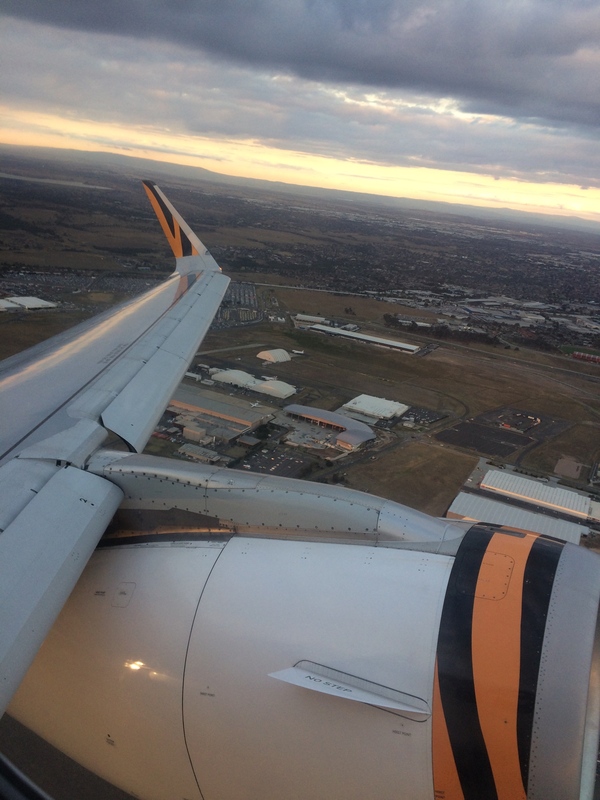 I decided to fly Tigerair Australia as they are a low-cost carrier that had re-started flights between MEL and CBR in 2016. 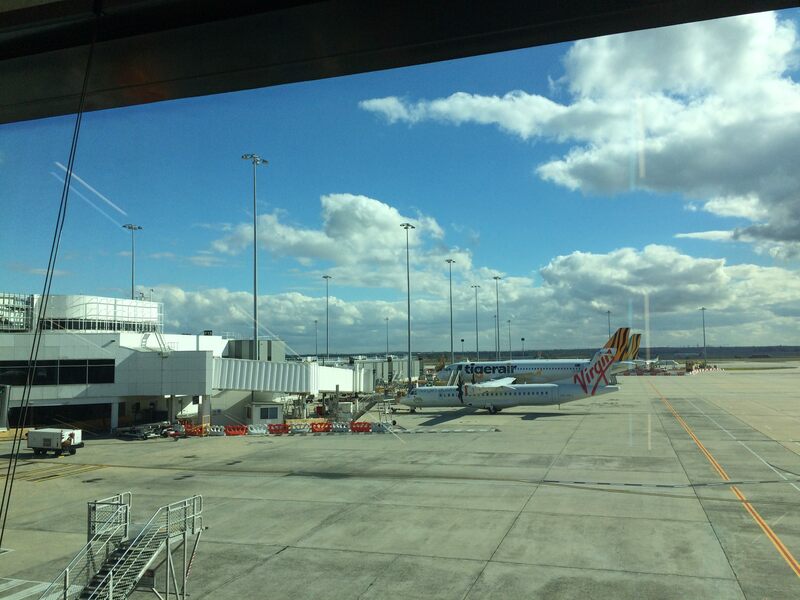 The travelling public had previously only had a choice of Qantas, QantasLink or Virgin Australia on this route. 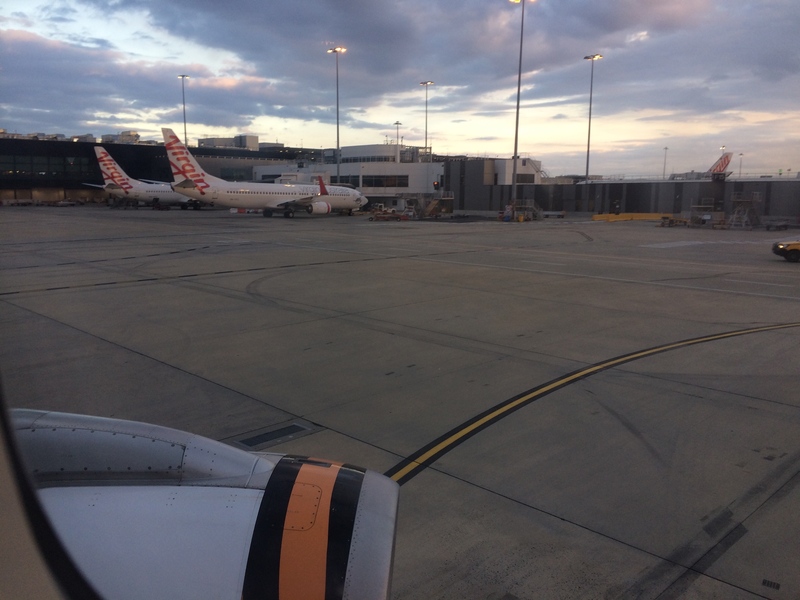 I haven’t flown Jetstar (JQ) as yet as they are not on any normal routes that I travel - therefore I haven’t flown a LCC since Virgin Australia was Virgin Blue back in their earlier start up days. I also wanted to fly on an Airbus again, as it had been three years, and that opportunity does not normally come up for me on my travels. 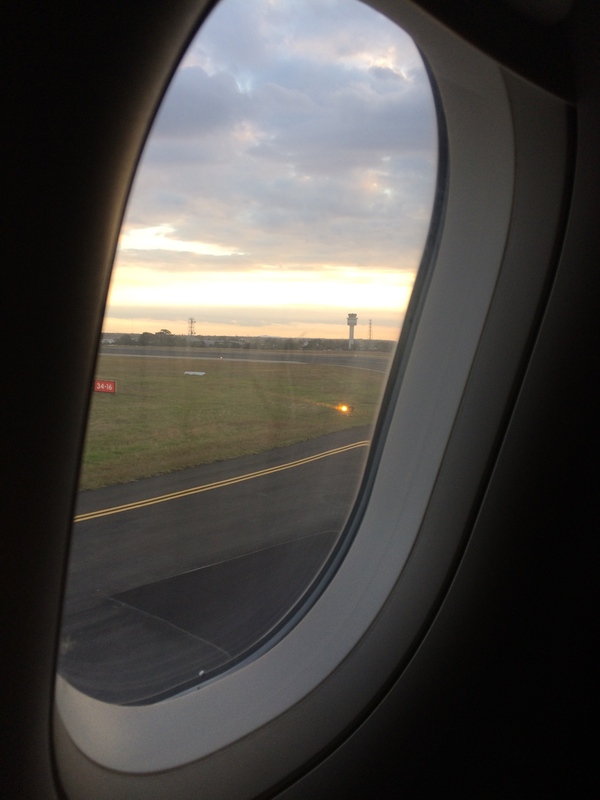 So my curiosity again was piquing – being a regular Qantas flyer nearly every time I fly. I needed a break from routine. I chose a flight that was not going to upset my plans detrimentally if it was delayed or worse, cancelled. 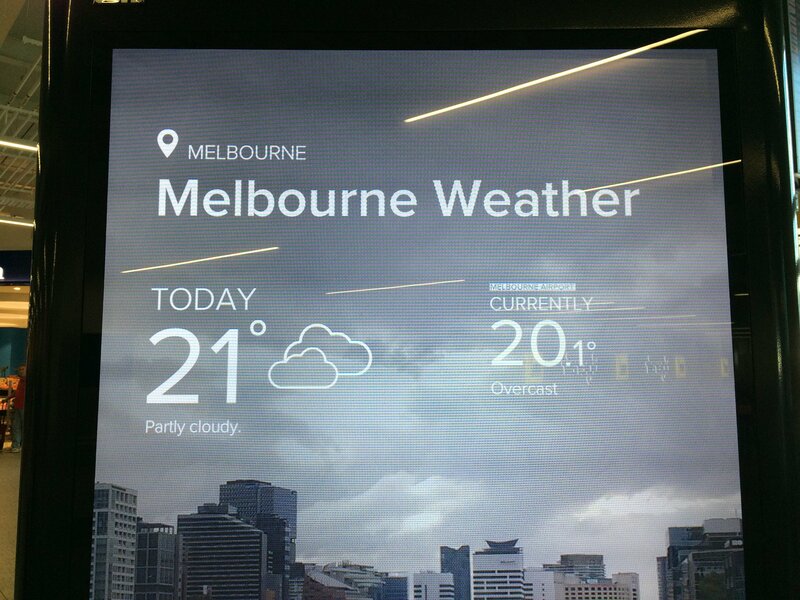 So I chose the return flight after an Easter break in Melbourne (Victoria), in a non-peak travel time. The photos were taken with an iPhone 5S. 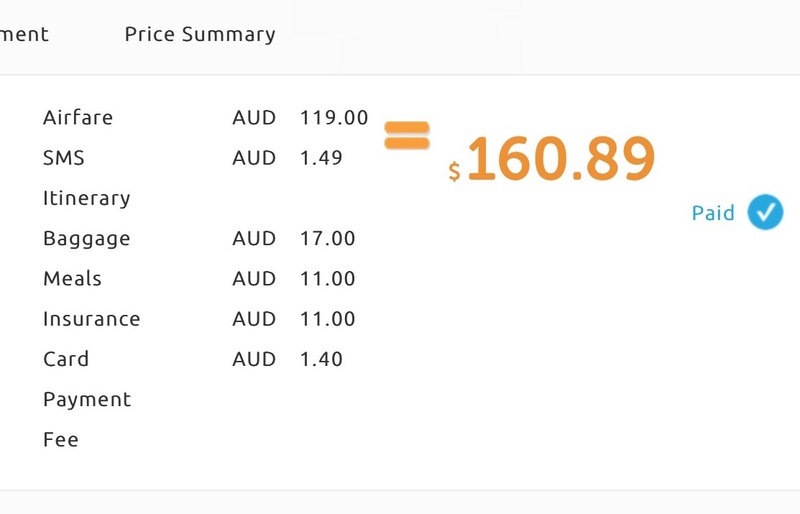 All prices are in Australian Dollars (AUD) and weights are metric. I haven’t used too many screenshots from the airline website here. Rather, I have just posted and referred to them and discussed my own process and experiences as I used them for this part of the booking process. Now, after starting this report, I realised I was making too many direct comparisons between TT and QF along the way, and that is just wrong in my opinion, so I have tried to limit that here as much as I could, until the end. 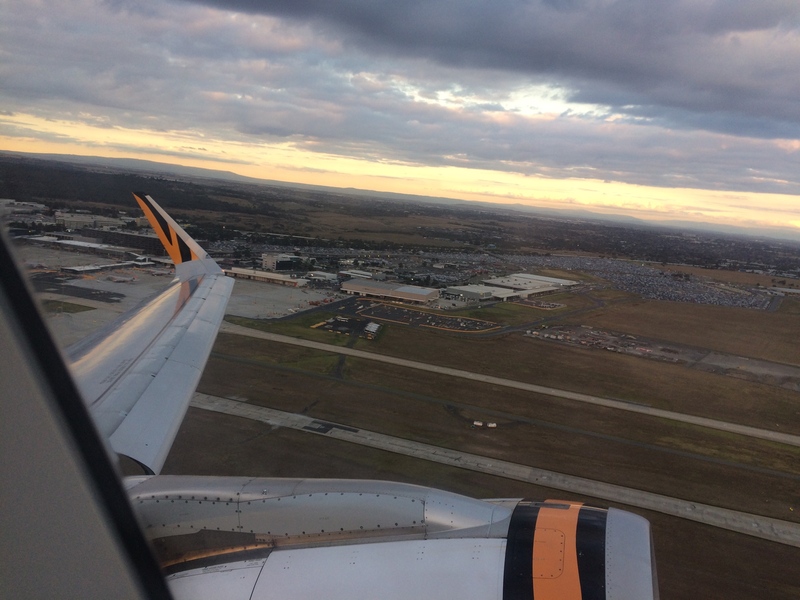 Tigerair Australia is headquartered and based at MEL, in Melbourne, Victoria, Australia, and also operates bases at Brisbane Airport (BNE), and Sydney Airport (SYD). 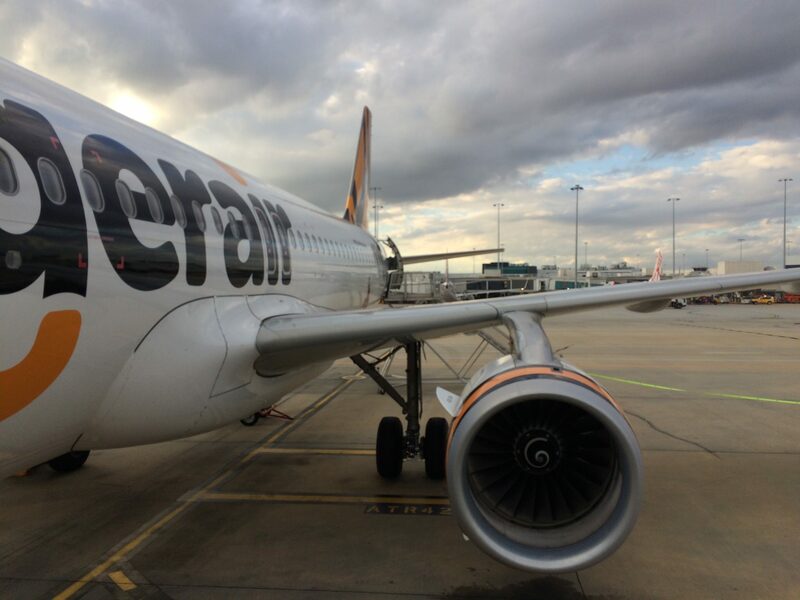 It was founded in 2007 as Tiger Airways Australia and as at August 2018 flies to 13 destinations and has a current fleet of 18 aircraft, comprised of 14 Airbus A320-200 and 4 Boeing 737-800. Note: all A320-200 aircraft are to be replaced with Boeing 737-800. All aircraft are configured with a single Economy Class (Y) cabin. 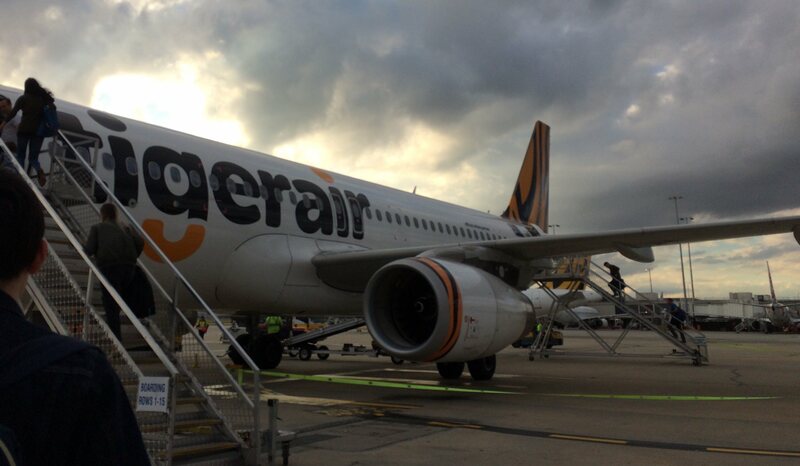 Tigerair Australia is owned by Virgin Australia Holdings, the holding company that also owns Virgin Australia (VA). 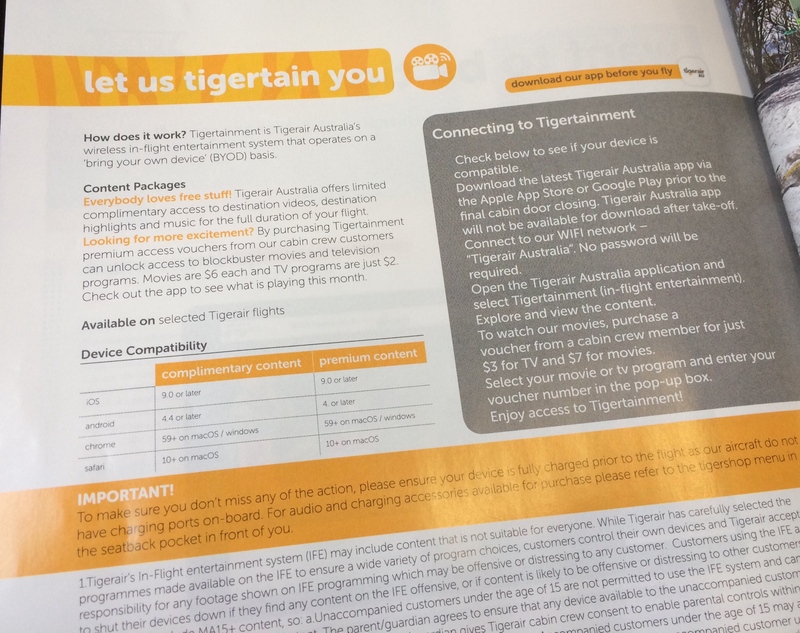 https://en.wikipedia.org/wiki/Tigerair_Australia (Sourced August 2018). Flights on a Friday were more expensive than the days around it, but I wanted the Friday. So I started the booking online, reading a lot of what I considered necessary as I went. I tried to use my Velocity Frequent Flyer points but it told me I didn’t have enough to qualify. Then when I (finally) got to the payment part it had told me I had timed out because I had taken too long! So I started the process again. I had to stay focussed as this was a new booking process for me and there were so many parts and options to it. Yikes. I wanted the experience, but I also didn’t want to make a mistake, especially due to the LCC model of choosing what you want and don’t want as you go. To break it down, my base fare was $119 and was called an Express type of fare. The fares on the days around this for Express were $109 and $89 if I recall correctly. 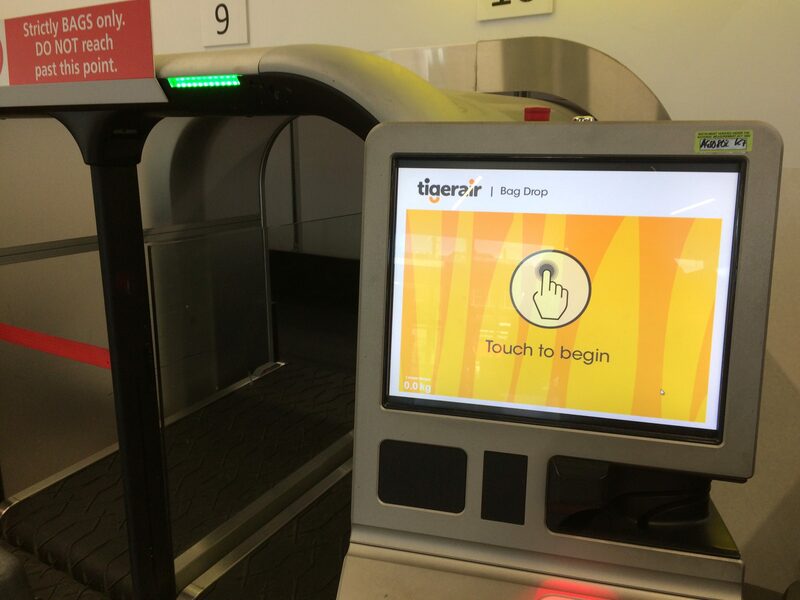 Checked in baggage - The next essential purchase (for me) was checked in baggage. I chose the minimum which was 15kg for $17. I had to be careful therefore, what I bought or took back home on my trip as my checked in usually comes in about 16 to 19kg with normal packing nowadays, and with the newer lighter suitcase materials. There were various heavier options at additional cost but I didn’t see them as essential to warrant considering them for my short flight and trip. 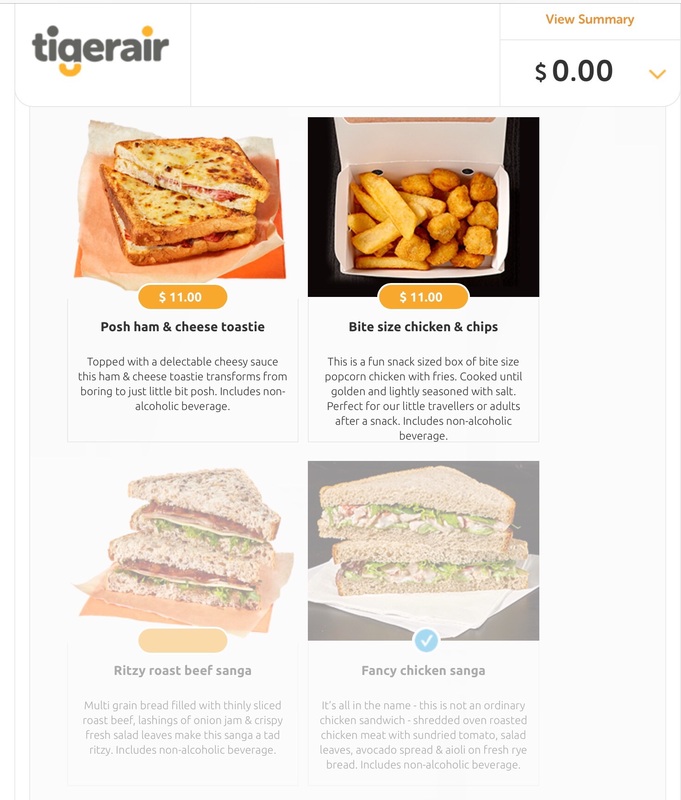 Tigerbites meal pre-order – I wanted to try a meal, just for the sake of it. 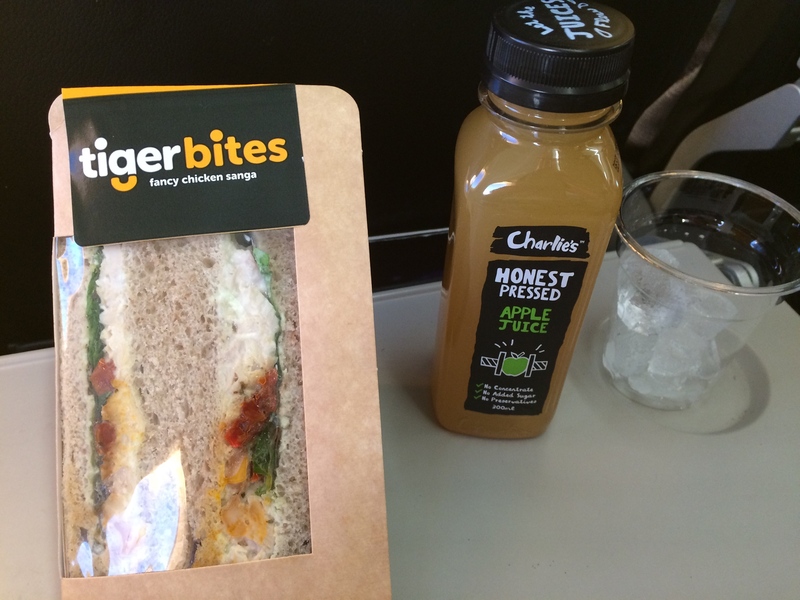 As it was an early afternoon flight I would have eaten by then anyway, so I chose a light snack, a sandwich from the menu called a fancy chicken sanga. By the way, sanga is an informal Australian term for sandwich LOL. On another screen it said that my meal (deal) comes with Pringles as well and a non-alcoholic beverage. Pringles are those stacked chips or crisps in a cardboard tube – the short size here of course! If the selected meal is not available, they offer to replace it with another item of similar value. SMS itinerary – I decided to purchase this for $1.49. It seemed a useful thing to have but would learn later that it was not necessary at all. An emailed itinerary is enough, and more comprehensive. Insurance – I decided to take out insurance. It seemed like a good idea, should things go awry for me. I don’t normally take out insurance for short domestic flights and I am the first to say I don’t understand all of the policy entitlements around it. Sigh. Then there is something called MoveMe. Not sure of the cost – it appears to be free here, so looked like it was given to me anyway. I thought it was an interesting idea. Card payment fee – There was a small fee for card payments. This is quite standard, but the option of using other free forms of payment (i.e. BPAY) to avoid having to pay a card fee was not an option here. It was only $1.40. As the fare was now about much the same price as a QF fare, my expectation about the whole flight had just gone up as well. Doesn’t feel like a budget carrier to me. The day of travel and the insurance are the things that have bumped it up. 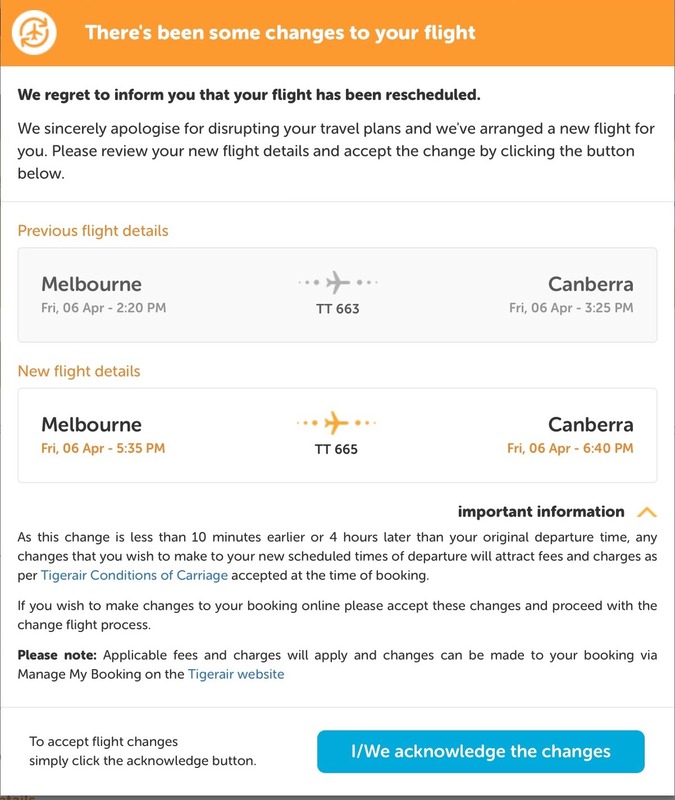 At this point for me, I know that the option of flying Tigerair on this route in the future is being ruled out as an economic choice. 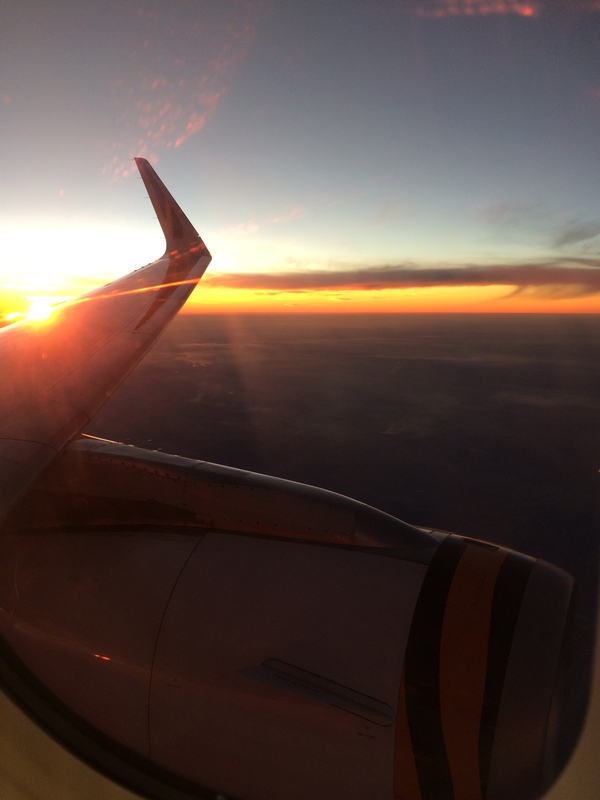 Secondary to that, the lack of frequency, therefore flexibility of flight times on the route is another drawback. 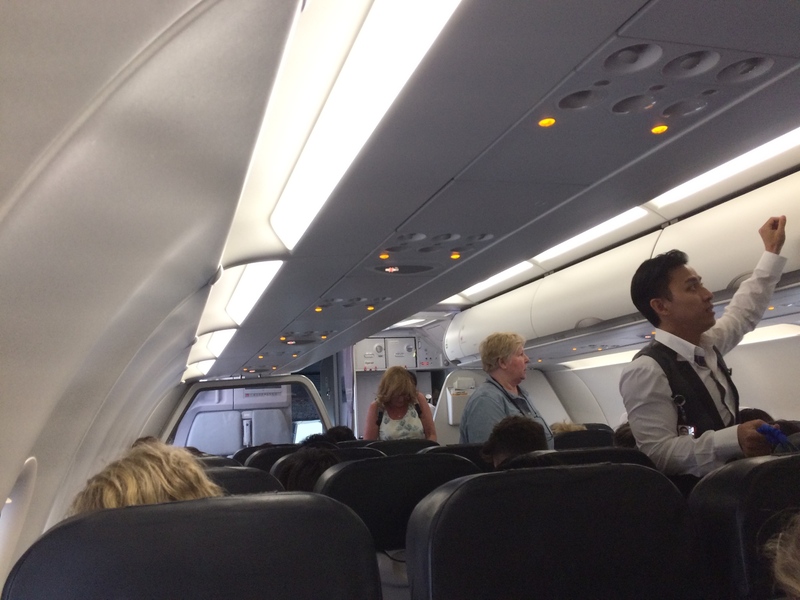 Seat selection – I had the choice of the whole cabin! A highlight! I chose 7A – nothing to do with the Dierks Bentley song LOL. Seven is my favourite number and I wanted to be on the left hand side, for the view; a window seat of course, and not having the wing obstructing my view from here either. I also don’t sit up the front that often so that made a nice change. 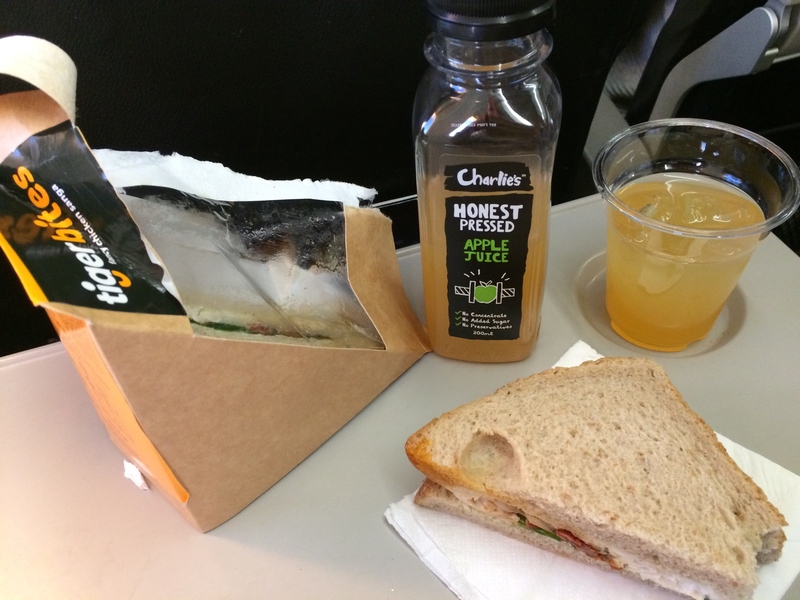 As it was a short flight, I would also get served quicker when the inflight catering came out. My Up Front was included. I didn’t have to pay extra for it. 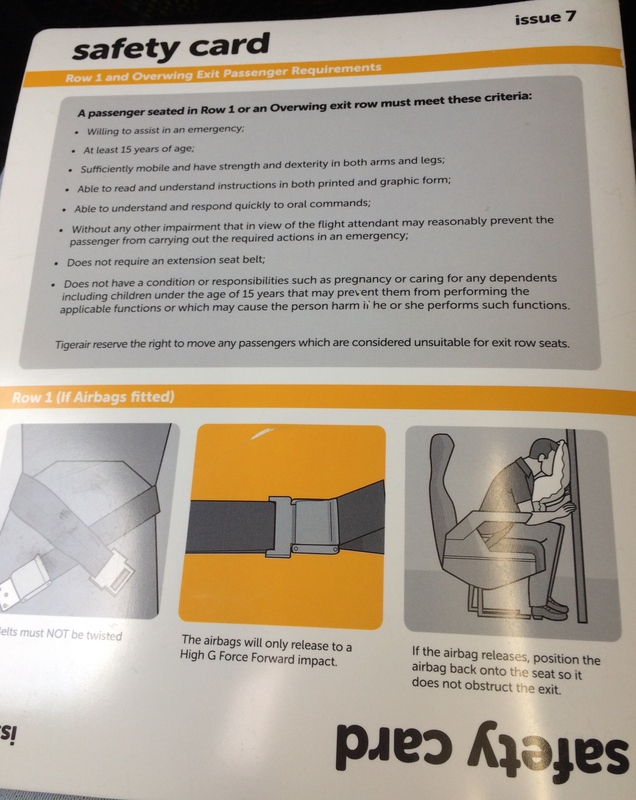 SeatGuru has more information on seating layouts: https://www.seatguru.com/airlines/Tiger ... s_A320.php (Sourced August 2018). Queue jump – I don’t do well with queues – I lack patience for them so often, so this is something that I go with, at no additional cost it seems. Turns out it was another not necessary, on this flight anyway. I decided to check my flight details three months later by downloading the app. I entered my booking reference number, which took three attempts as the ‘1’ and the ‘I’ looked the same. I liked the way the booking was laid out, and it was very easy to see what had been purchased, and the fare breakdown. Two things were noted - I thought I had purchased a meal - just to try out the meals? 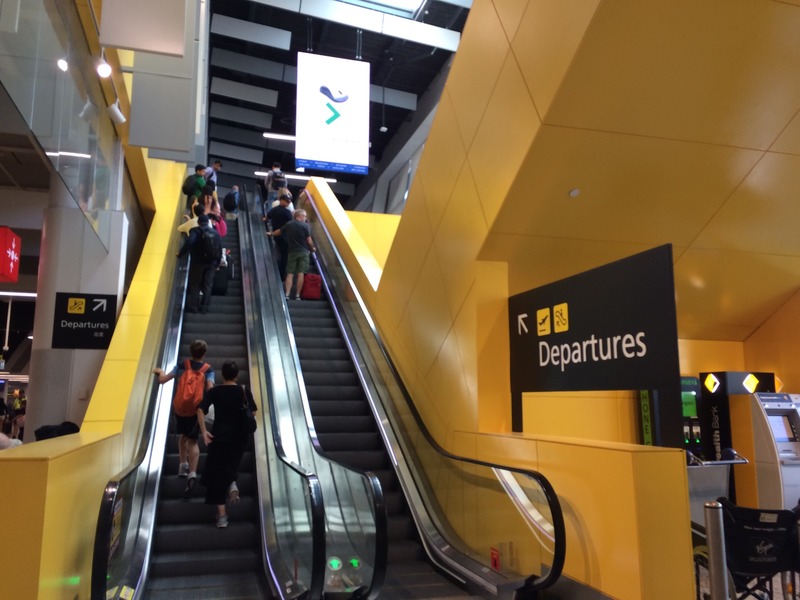 Then I assumed that as the price was already the price of a QF ticket on that route, which it was getting beyond reasonably cheap now, and, as the flight was just after lunch and the flight was an hour, I would have something at the terminal at MEL anyway. So I second-guessed myself as not adding a meal to the fare after all. I was not sure what the fees were for, and if they were airport charges, why they just weren’t incorporated in the base fare. I went into the app again as I needed to book public transport to the airport for the flight, which was now four weeks away - and my flight time had changed! No notification, by SMS or email. I get that an announcement done in this manner is probably in the terms and conditions somewhere, but really, it is just basic customer service. The time change was now approximately three hours later. Just as well I checked. I also noticed that my originally booked flight number was not there, but I couldn’t see a flight number at all. Also, in one of the flight detail areas it says I hadn’t selected a seat, but on the same screen in another area it says I have. I was initially considering getting the later flight but don’t like to get the last flight of the day as a rule. 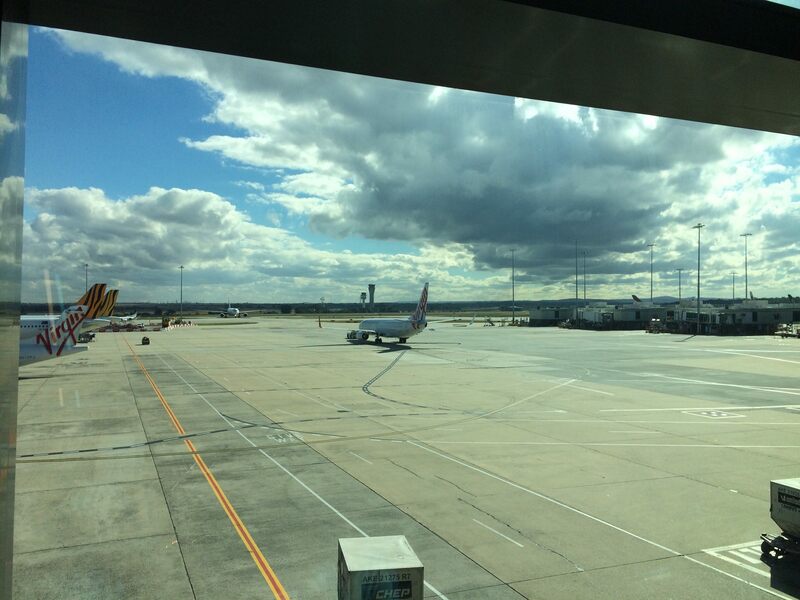 It appeared now clear that they had cut the midday flight from MEL to CBR and only had the late afternoon service now. I checked Google for news and their website and didn’t see anything about changes in schedules and cuts in flights. 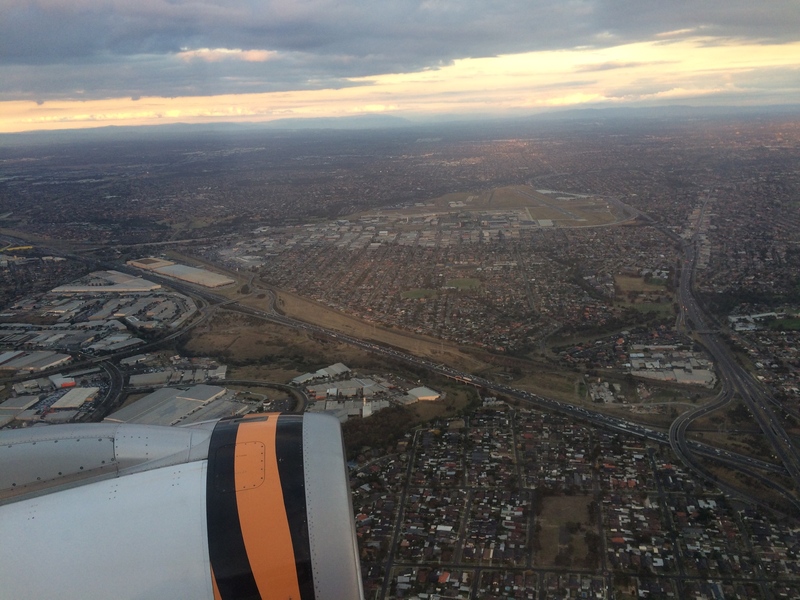 There was however, a news item that announced closure to the Tullamarine Freeway outside MEL. I wasn’t desperate enough to call them for any clarification on the issues. So, after reading some reviews of the app online and seeing that many of the negative comments were about using the app; concluding that it has many bugs in the software and not enough time and resources put into it to fine tune it, I first deleted the app and reinstalled it. It now said seat selected two, or twice. There is still no acknowledgement that I had purchased a meal. So I decided it was an erroneous and unreliable source of information and deleted it for good. Would not use it again and do not advise anyone else to. Only use the full website for this airline. So, I go into the full website for the airline and checked my reservation there. A message pops up that there has been a flight reschedule and a flight number change. I had to read and click accept the changes. When I looked at my booking here, I noticed that I had ordered a meal after all! Why was it not on the app screen when everything else was? Anyway this is good as it was now a dinner time flight rather than early afternoon. 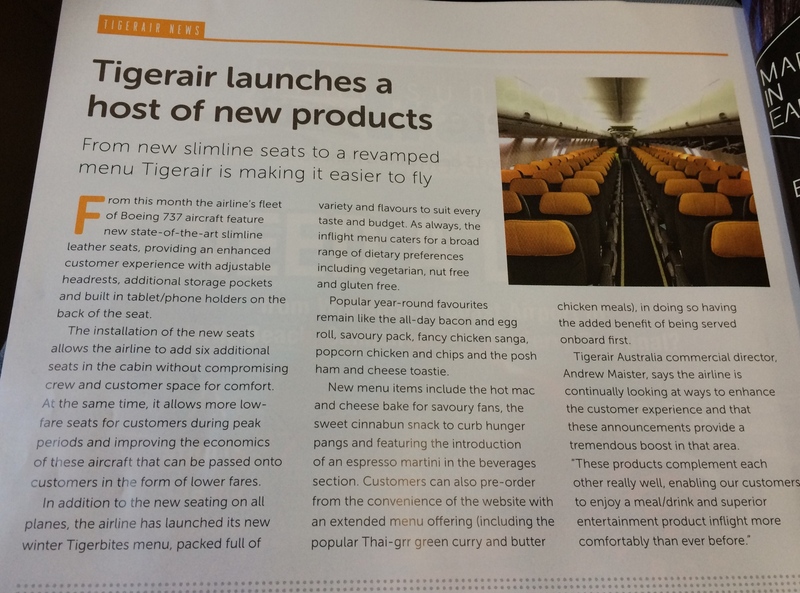 I would get to try their meals on this flight after all, I hope. I had to select my choice of seat again now and was able to select 7A again as it said available, even though five seats were already now taken. Of course I requested an emailed itinerary to myself and screenshot as much information as I could see as I went now, in case I needed it to reference to later. For the seating, I was eligible for the blue area up the front. I also thought the seat pitch might be a little better toward the front too, although there is an option to pay for extra leg room in other particular row/s, or the exit rows. The seat pitch proved to be more than adequate for my needs at 7A, with about 10 centimetres (approximately 4 inches) to spare between my knees and the seat in front. As my schedule had changed to a later time in the day, I had plenty of time to get to the airport now. I planned to spend three hours at T4, as my first visit and not knowing how long it would be till I would be back there again. I am quite partial for any reason to be spending a few hours at the airport. 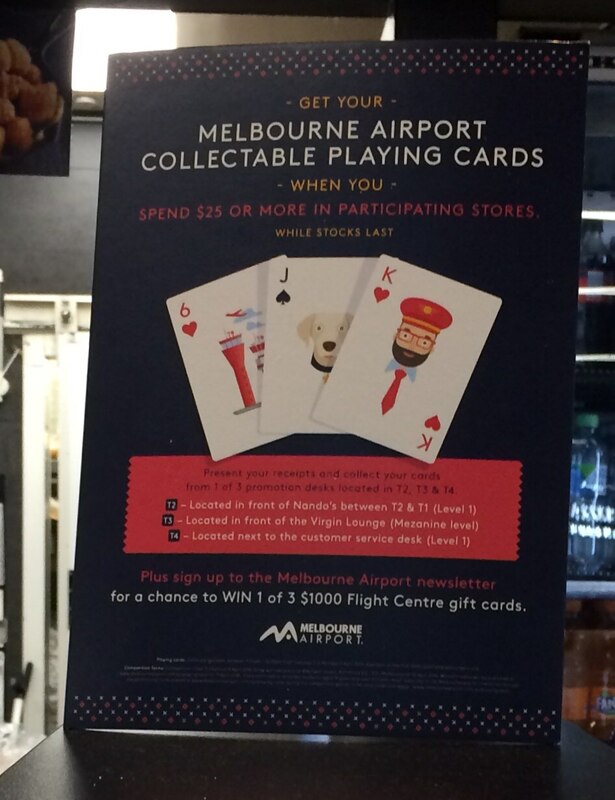 However, T4 would prove to be an exception to my lifelong enjoyment of this pastime. In hindsight, I was also bound by public transport timetables so I didn’t have a lot of choice and also not one to rush and arrive at the last minute. 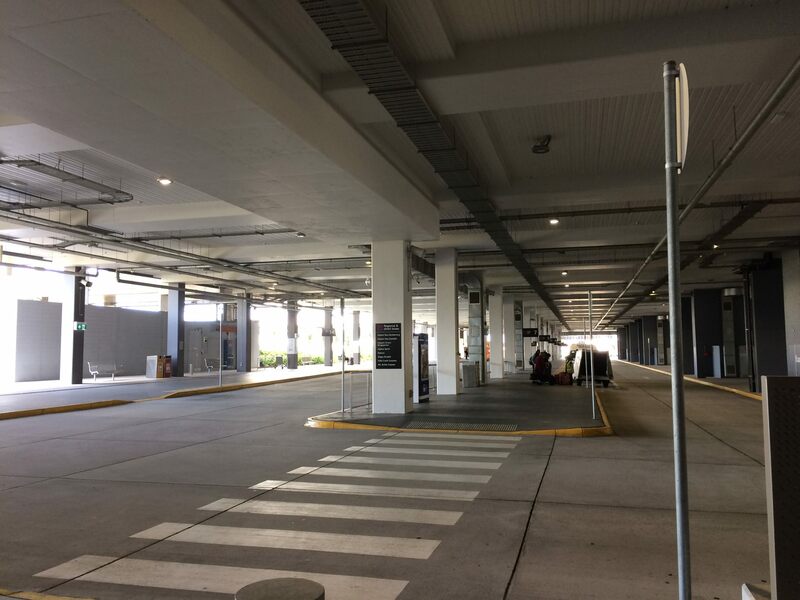 I arrived at an underground car park which was the drop off point for regional bus transport. The trip in was good as I got to see MEL from a different perspective from this side of the airport. 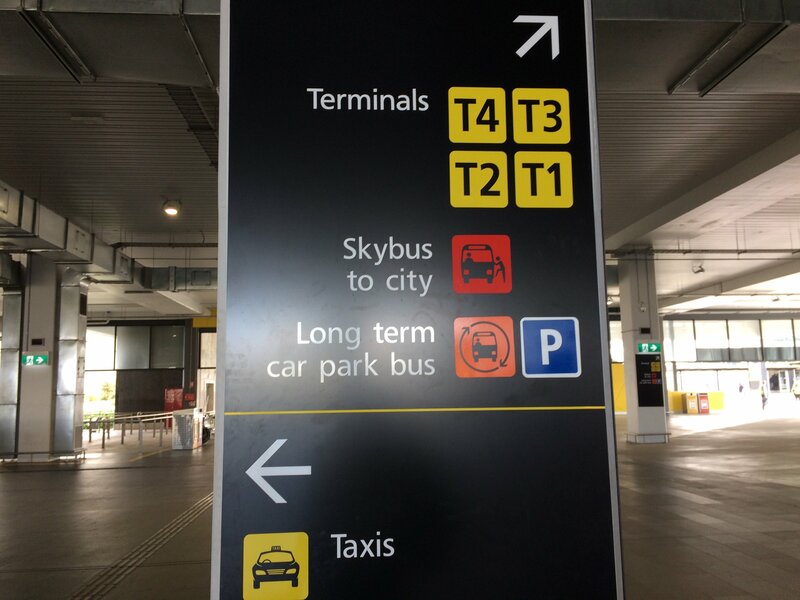 The signage to T4 was very good, and once I had left the bus and I had a very short walk to the main entrance. I had checked in online using Domestic Web Check-in, which is available 72 hours before the scheduled departure time of your flight. I then added my electronic boarding pass to my Apple Wallet. 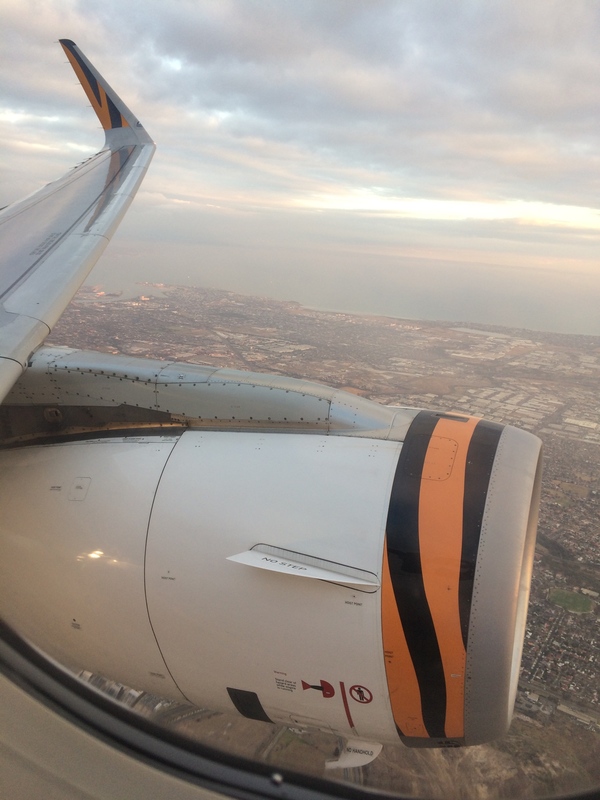 https://webcheck.tigerair.com.au/ (Sourced October 2018). I proceeded to a Bag Drop (no queue). The scanner wouldn’t work for me. I stood there and fumbled with it, trying to use it a few times, and looked around. No one came to help me. So after a few minutes of it not recognising my electronic boarding pass on my iPhone, I took my luggage off the belt and went over to two customer service check-in people at the central counter. There was already someone there so I had a short wait. 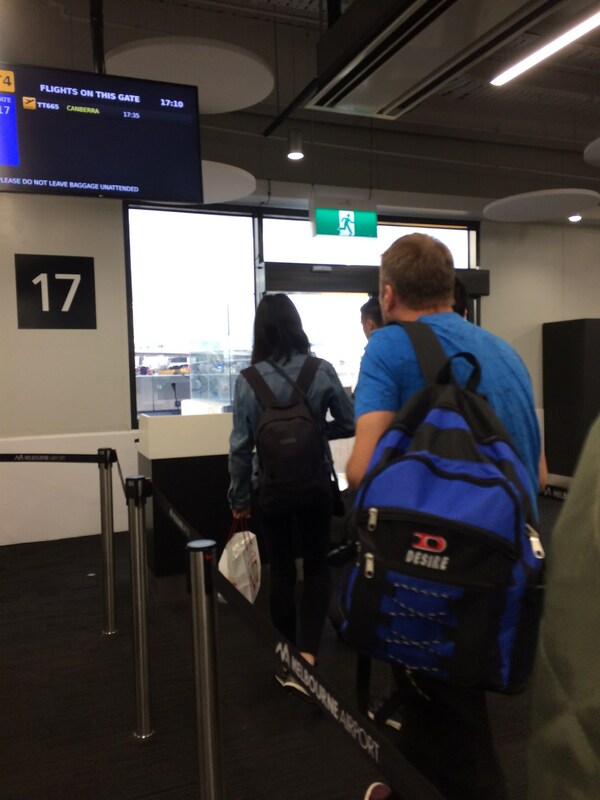 I was then told that I would have to check in again – to get a paper boarding pass. Not really check in, but use the check-in kiosk, kind of to start the process by letting the system know that I had arrived. One of the two staff helped me with this. She said to me that online check-in is really more for people who don’t have any luggage to check-in. This was easy enough to do, and took about a minute. The boarding pass was paper not cardboard, and was not still in one piece by the time I was boarding! It still worked thankfully and I did apologise for the state of it by then. I felt like this was not a good start but I was happy with the service I was given, in that it was timely and solved efficiently. I then used my piece of paper to process my checked in luggage, then proceeded up the escalator to the security. This was not busy and I was through in no time at all. 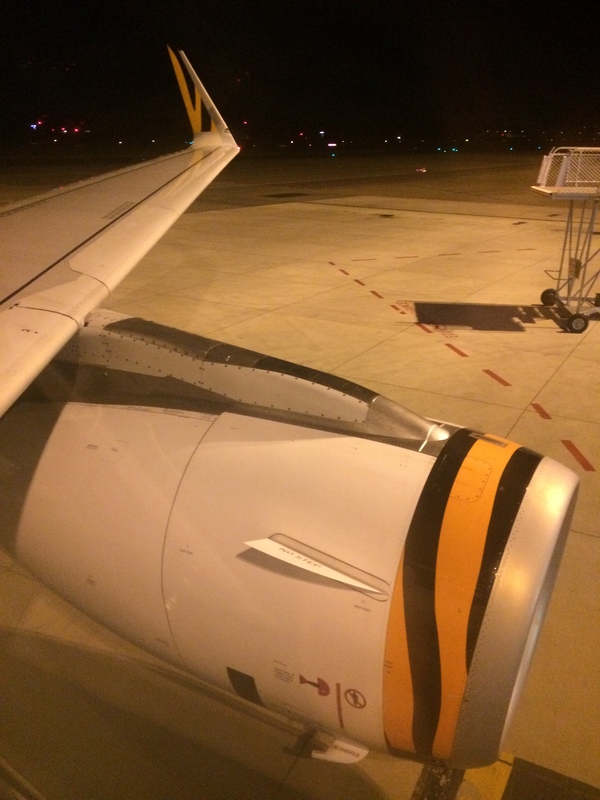 What had initially been a bonus experience to my choice to fly Tigerair turned out to be my most negative experience of the whole travel journey. 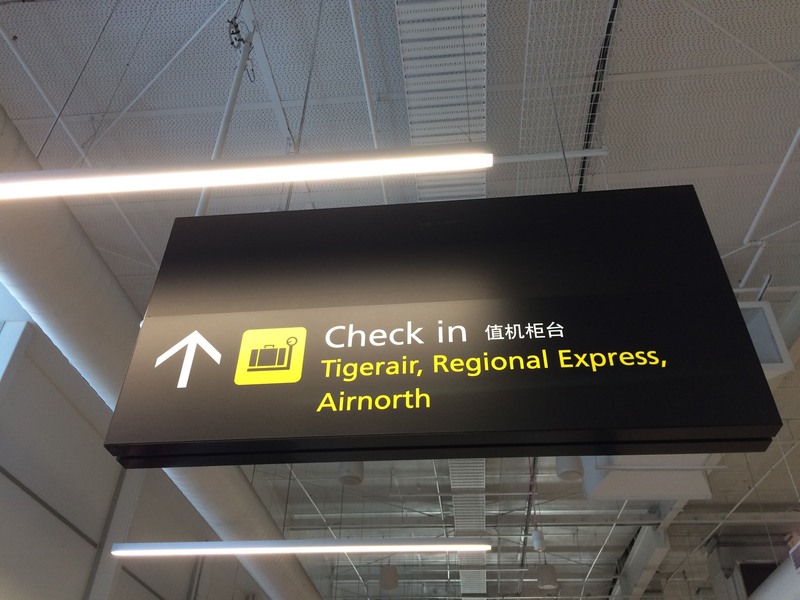 What I had heard and read most about T4 is that there is a lot of walking involved – from check-in to the gates. 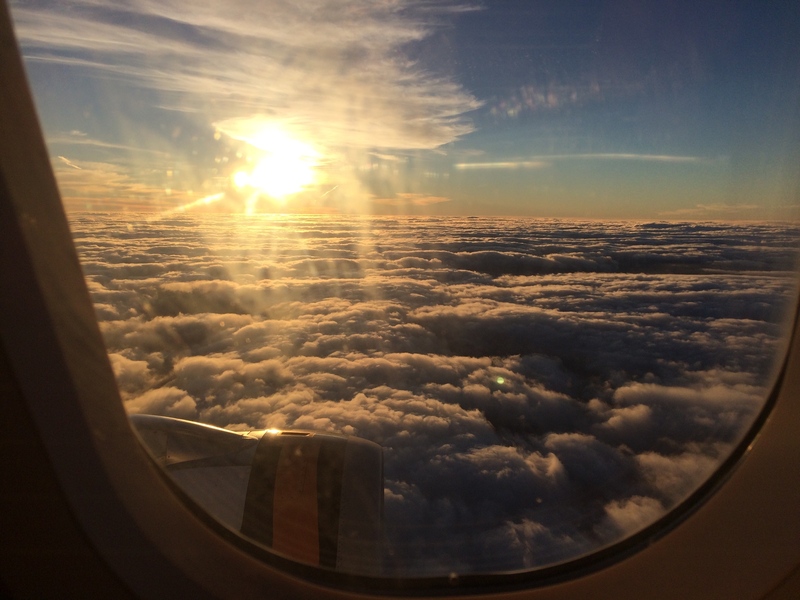 Not so bad for me - and it wasn’t, thinking about airports on a global scale, what I would consider a huge trek – up to ten minutes to the gate. I find getting buses between terminals or walking outside in the weather worse than what the floor distance design of T4 is. 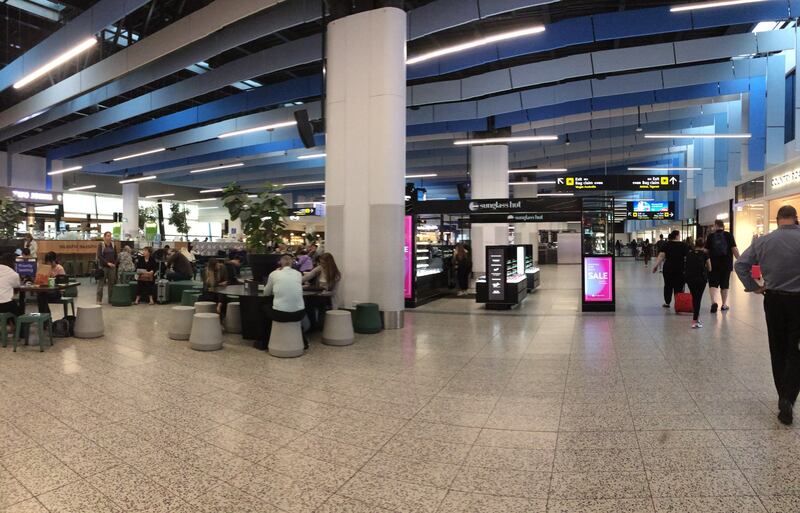 However, from the moment I was in the main terminal waiting area, the ‘holding’ area, I felt like I was in a shopping mall. Yes, there were a few shops and a food court, but it was the ambience, and the lighting and the noise was terrible! There was even a sparrow flying around inside which looked quite distressed. I started to feel the effects by the end of the first hour. I went to the restroom after arriving; then had something to eat, had a look around, which didn’t take long as it was quite a small mostly circular area. Then I went over to the main window and sat and watched the planes. I am not one to complain usually and always try to see the positive in things, as there often is in many situations. What I had trouble comprehending was that this was a newly built terminal. There was every opportunity to get it right. Maybe no one else was feeling like me. I did stay up late the previous night as I was very rested from my holiday, and had the late start, but now I feel like I should have gotten more sleep which would have helped me get through my time here. My notes of the day tell me there was a notification that this was a silent terminal, but they still made announcements. Maybe that is in my perception of silent – half joke. Was there Wi-Fi or places to charge devices? Don’t recall any, or abundance of the latter. After about two hours I took a headache tablet which did help a bit. There were no windows in the main area, apart from the ones which I was seated at from the photos. 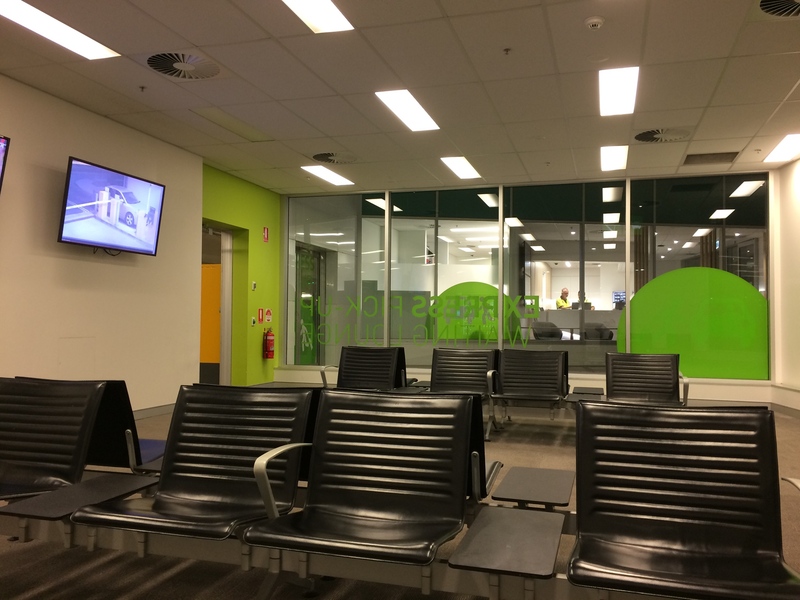 I could see a lot of people were seated around here, although the seats in the terminal were also not comfortable – so hard to sit on for any length of time either. I felt that this was part of the design, to keep people up and moving. There also didn’t seem to be enough seating, and I am not sure whether it made people move towards the area by the windows too, which also had tables - so you felt compelled to buy something to eat or drink while you were sitting there. There were other food court areas adjacent to the shops, with tables and chairs in the middle, but you couldn’t sit there and wait leisurely, like you could at the window ones. Later on, after browsing the shops and everything else, I came back to the only set of windows again and ordered a pot of tea. I had trouble hearing the girl at the counter as she was serving me, and I made the comment that it is very noisy in here. 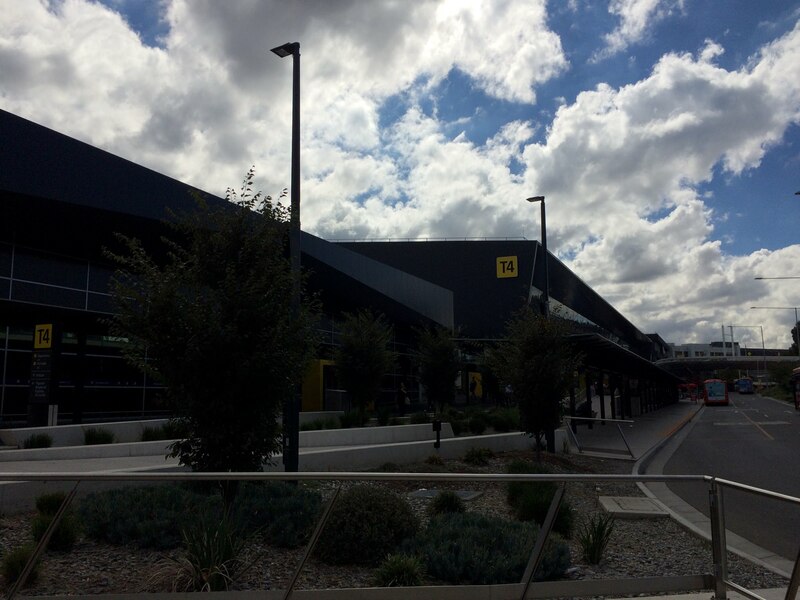 I remarked that airport terminals I normally frequent domestically are not like this one. 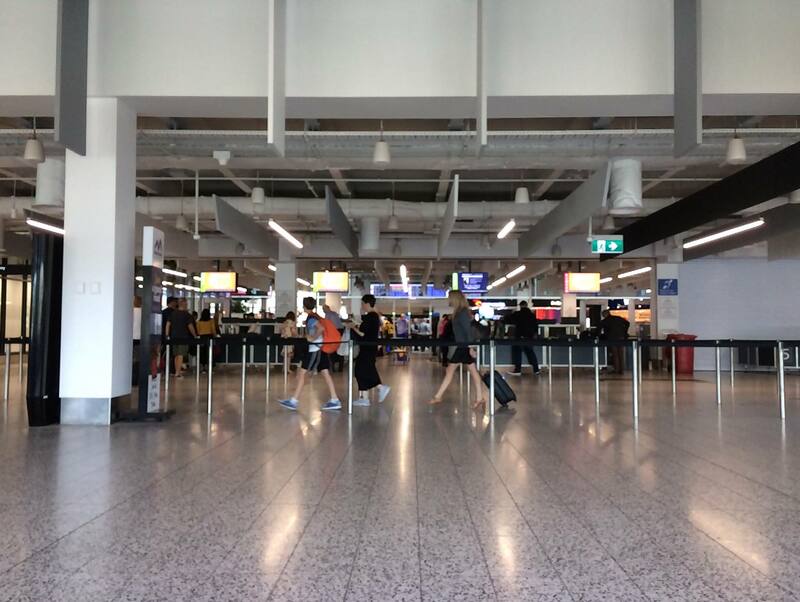 She agreed, and said, ‘No, I went over to T3 the other day and it was really quiet.’ I said I would say that T3 is actually more normal for an airport terminal – it is this one that is noisy. During the last hour as I sat, and paced around, I could see people sitting around also that looked much like I felt now - trapped in this place that is specifically T4, and over it. I’ve spent the same amount of time in MEL at the other domestic terminals and never felt this negative at an airport terminal, sadly. One of the distinct features of T4 is that there is a policy that you are not allowed to go to your gate and wait there. 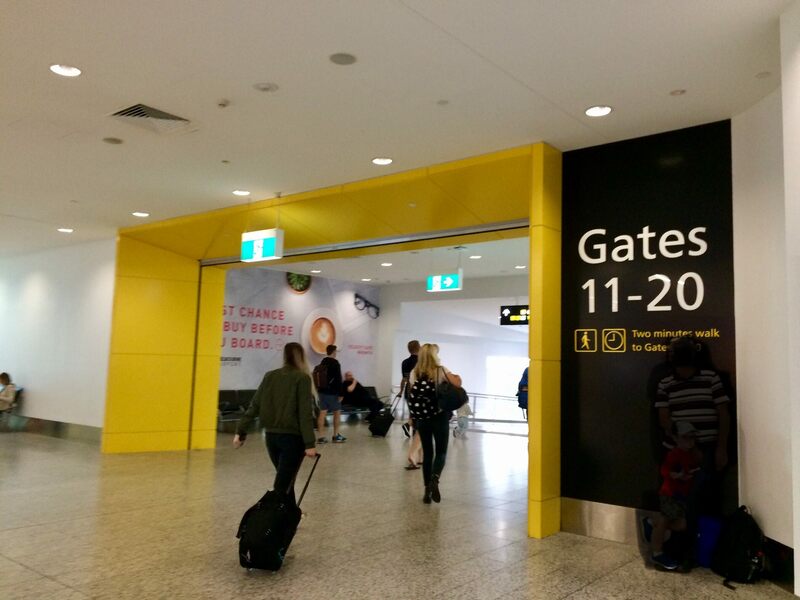 Gate numbers are announced or shown for flights close to the departure time. In the last half hour I resisted the temptation to just wander down there as it was open access, but did go towards the other walkway, toward the Rex Airlines departure gates. 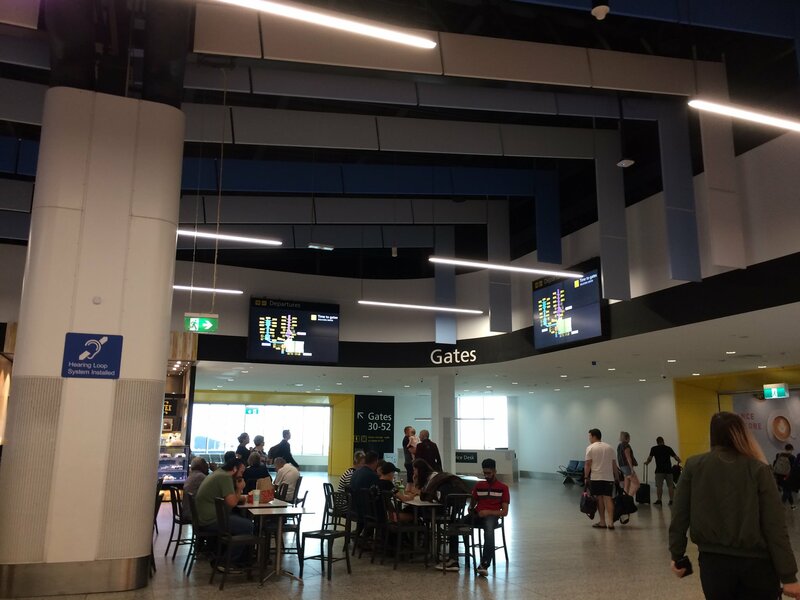 I then noticed a kind of alcove separating the terminal main building from the walkway; it looked more conventional, with seating, and was quieter! 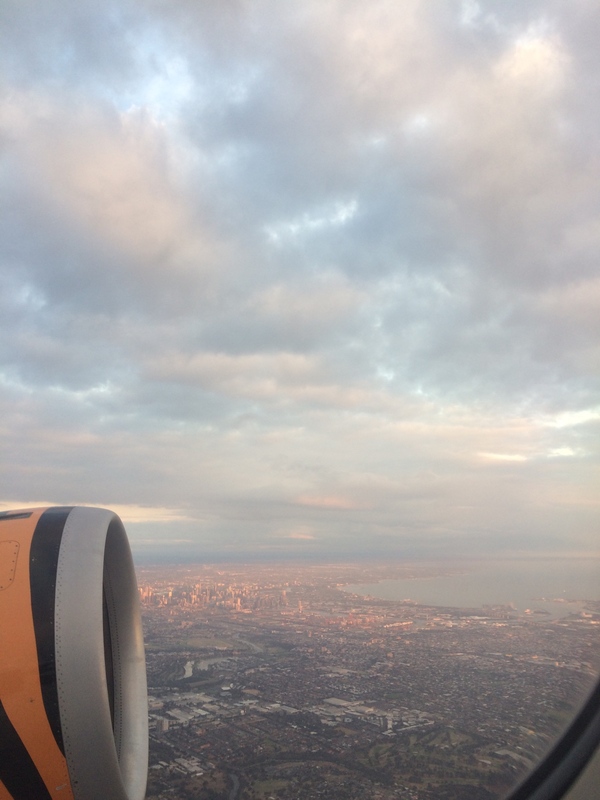 I need to be more adventurous in new places and seek out where people escape too while they are in transit or waiting for flights, it might be worth it! Finally, after watching the minutes tick by on the board, it was there - Gate 17! I could now see where I would be departing from, rather than just guessing, and could also see my flight arrive. I made my way down after they announced boarding. The gates area didn’t look all that great and so this was what I was missing - not fancy and not overly new or fresh it seemed. Fleeting memories, I wasn’t there long enough to take much of it in anyway at this stage. 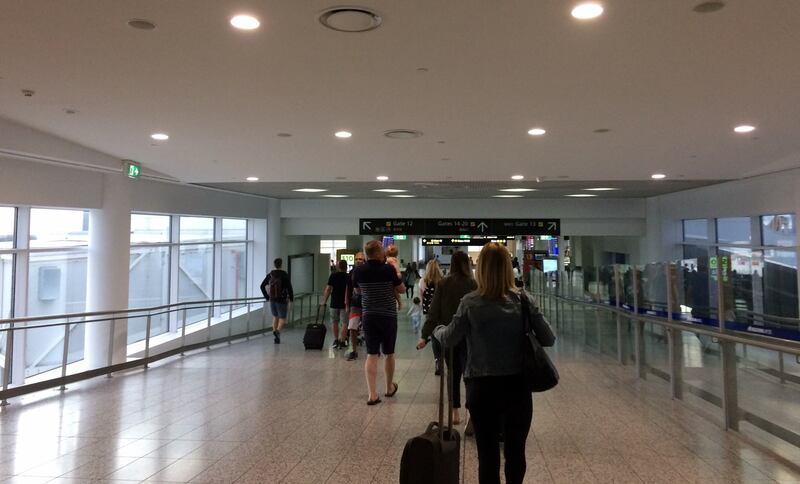 Everyone bustled down with me in what seemed like a great rush, as if we were all late for our flight. 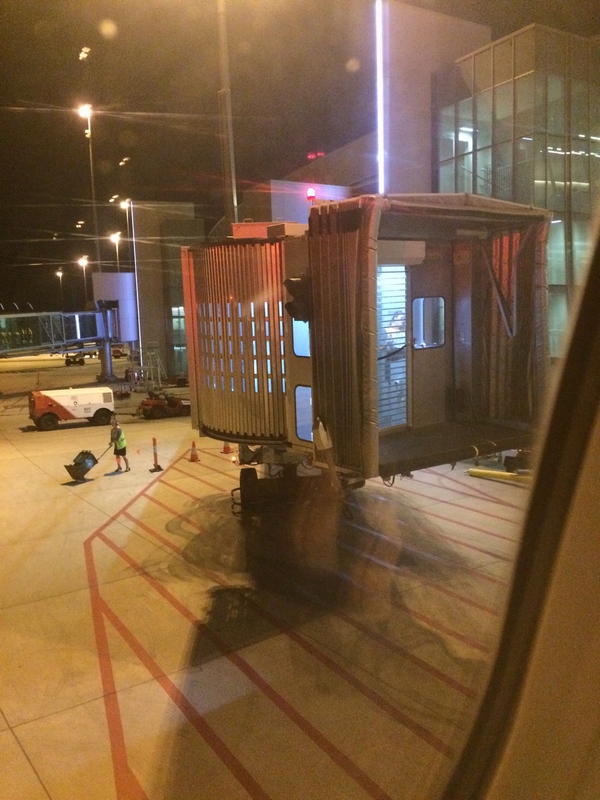 Next came the weighing of the cabin baggage. This was fine for me as I knew the limit. Apparently, some people did not. Or did, but wanted to see what they could get away with - and they didn’t. I queued up in the only queue, or line - and it took just a few minutes to get to the front, as I was down at the gate very soon after it was called. When I was near the front I saw two people appear in another gap in front of us – that was the Queue Jump line! 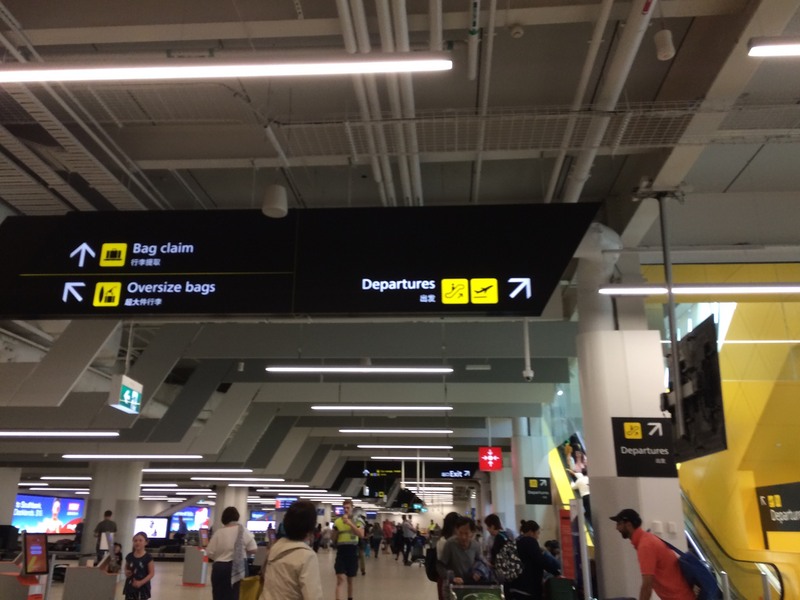 It wasn’t obvious to me, as it was behind another sign as I approached the area – and the many people and weighing cabin baggage bottleneck was my distraction here as my reason for missing it. Oh, but now for the exciting part, - an open air boarding via the stairs! To add to that, no announcement that phones and hand-held devices are not to be used between the gate lounge and the aircraft – happy, happy, happy. Even though I had an electronic boarding pass on my phone I wasn’t permitted to use it. I presented my very tatty piece of paper (my boarding pass) to the gate agent. I was then out in the open air. Hurrah. 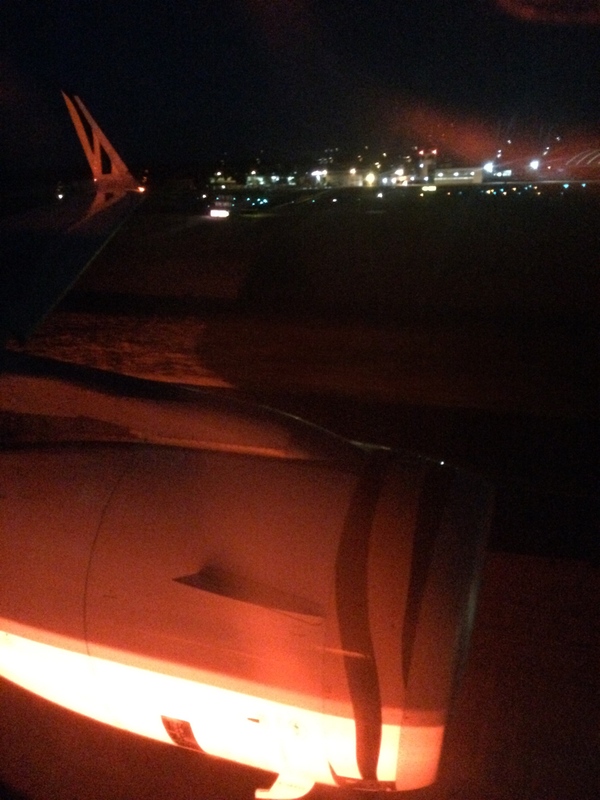 I made my way to the aircraft and up the stairs. I took my seat and placed my hand luggage under the seat in front. The seat backs were high and I couldn’t see all that much. 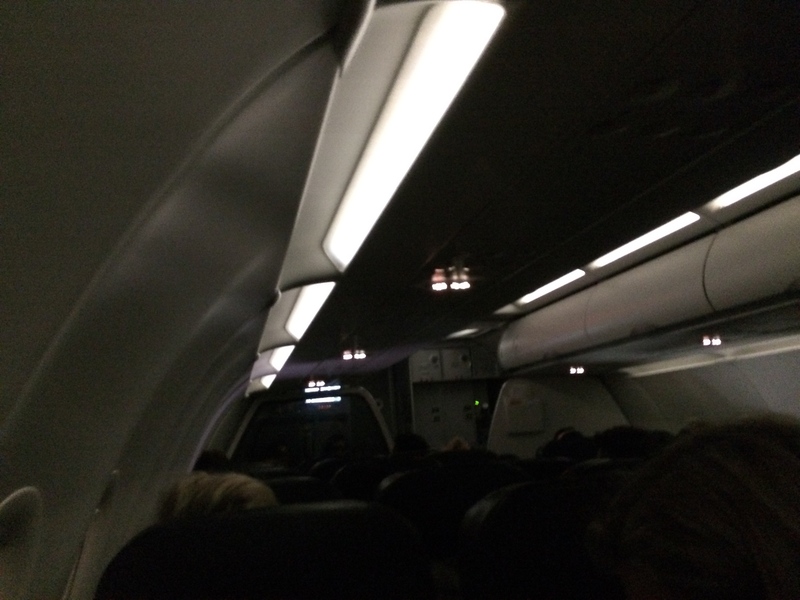 I certainly couldn’t reach the overhead panel while sitting down. I usually like circulated air blowing on me, so I fixed this up while I could at this moment before I buckled up in my usual manner, pulling on the seat belt as tight as I could manage. I was still one of the early ones on, so I was able to settle in and check everything out. 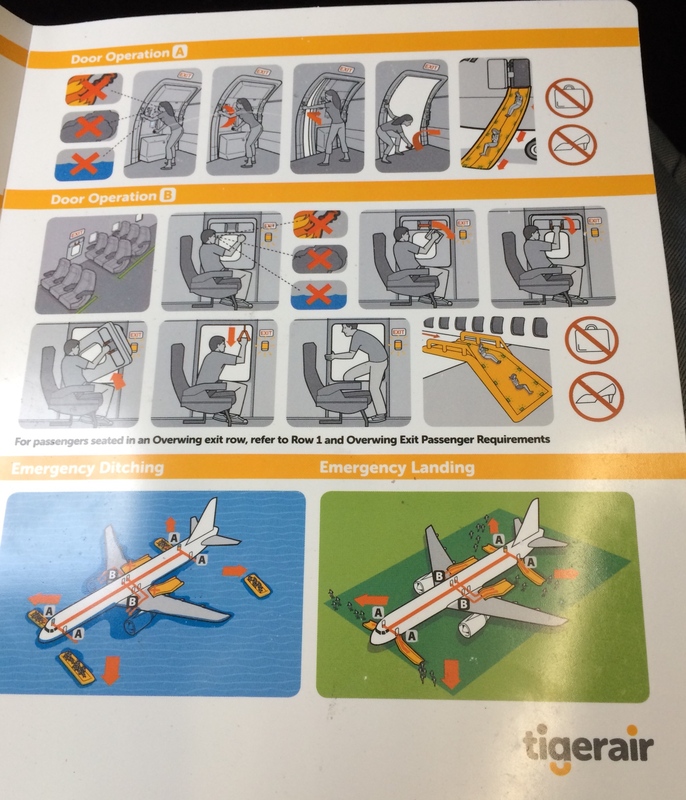 I read the safety card – of course! 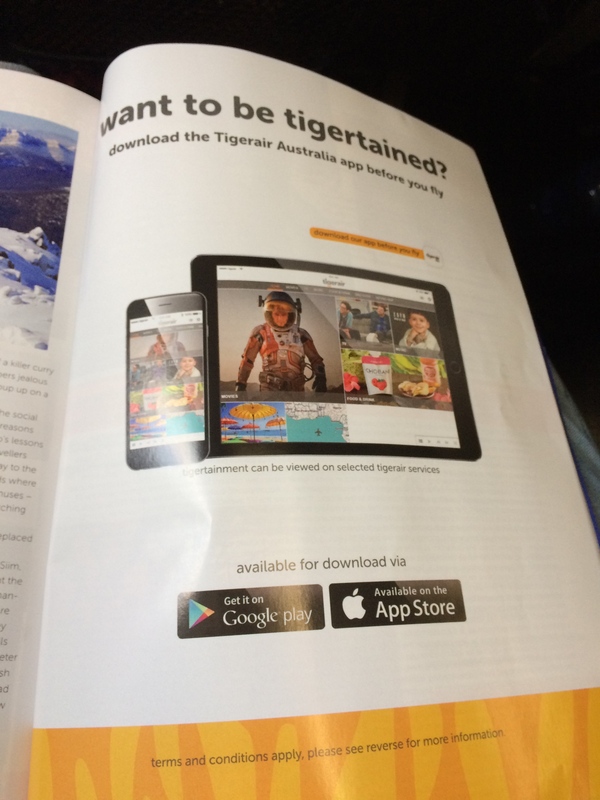 I also had a look at the inflight magazine. 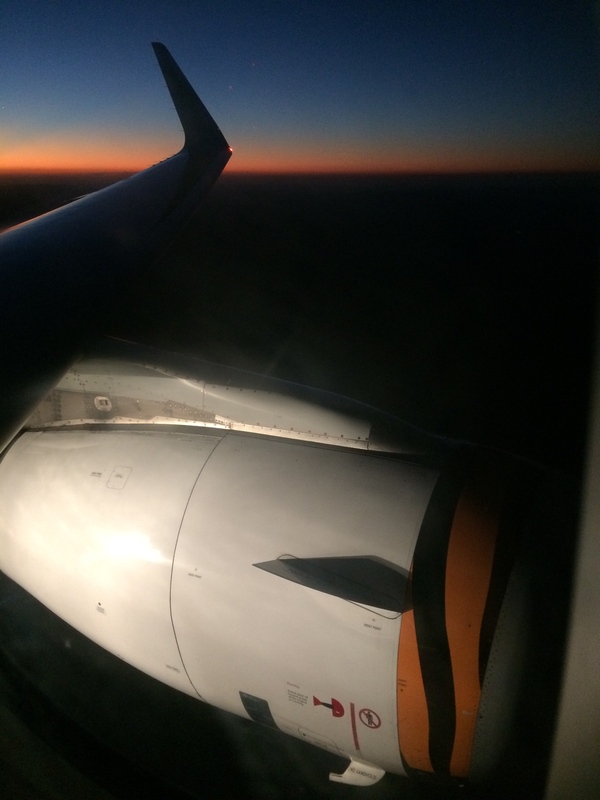 As I hadn’t flown on an Airbus since 2015 I had forgotten one feature of them - that compared to the much-flown 738 and 717 in those years in between – the A320 fuselage was much higher above the ground. 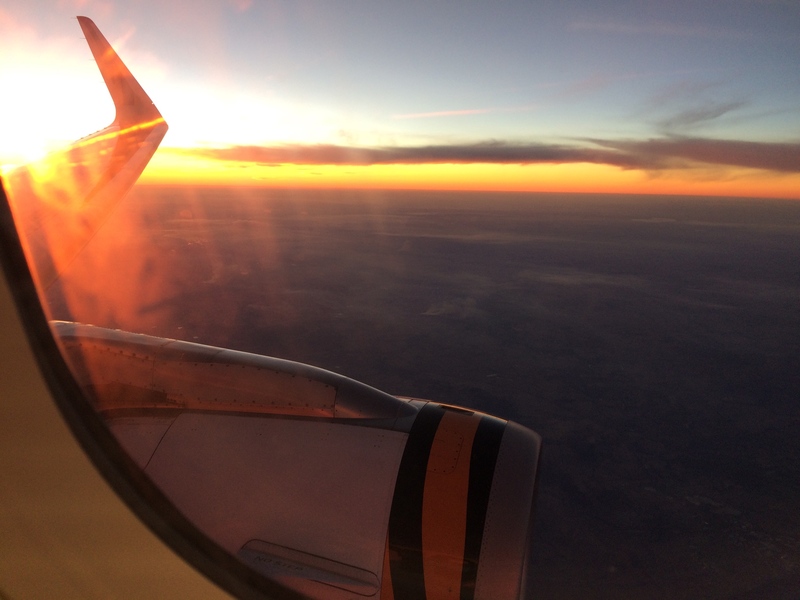 I really like this aspect of the A320 in comparison, and I ponder this as I look out the window. 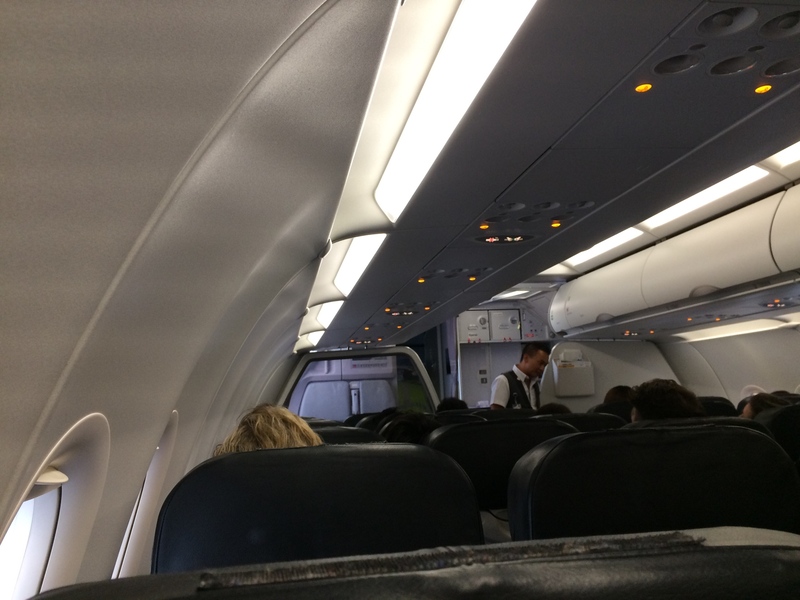 I also like the interior of this aircraft, as it is one of the newer aircraft in the fleet. In particular, the clear panel near the doorway. I haven’t seen that design before. The cabin crew were very friendly - young and vibrant, but not overly. 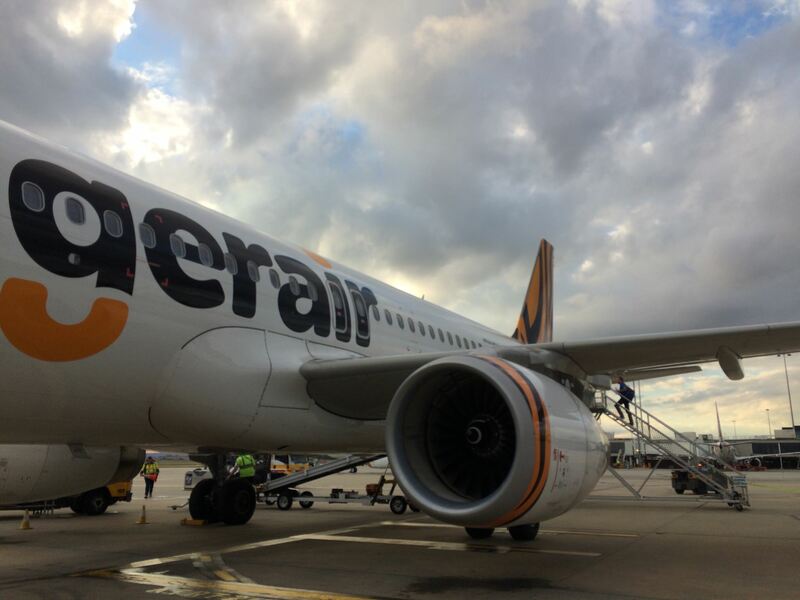 They aren’t comparable to VA cabin crew, past or present, but they do have their own Tiger brand of going about their business as we prepare for take-off. I counted three cabin crew on my flight, at least from where I was. It took about twenty minutes to board everyone, from the front and rear stairs. 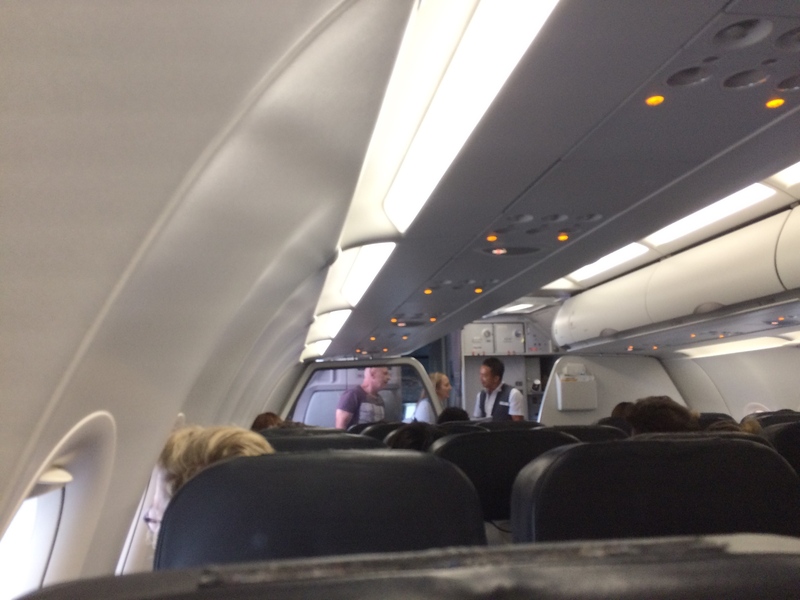 From my seat I concluded that the flight was full or near full, partly due to some earlier booked pax like myself being moved to the later service. 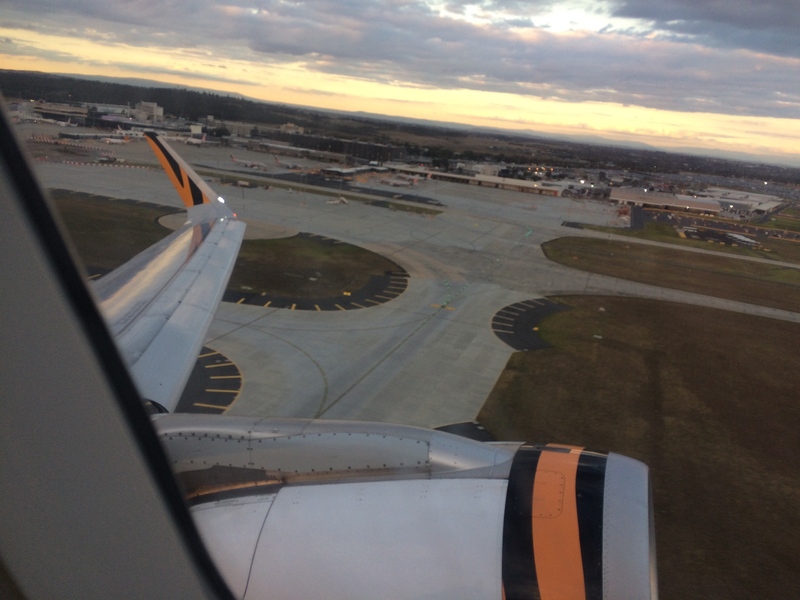 After I boarded I also noticed that there was the usual smell of jet fuel, from the open doors, but this was soon replaced with a strong odour I would like say was like oven baking cookies – different! I now assume it must have been some kind of air freshener, but it continued for the whole flight! There wouldn’t be any hot food being prepared? Is someone getting a hot meal on this short flight, I know it’s not me. It was relaxing anyhow. 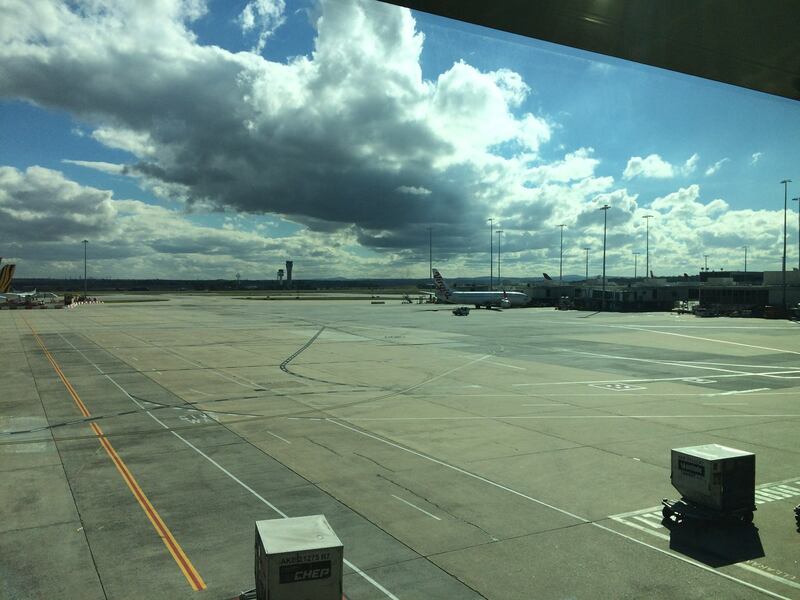 Perhaps a strategy designed to keep pax in a relaxed state – I thought it was working well on this flight. 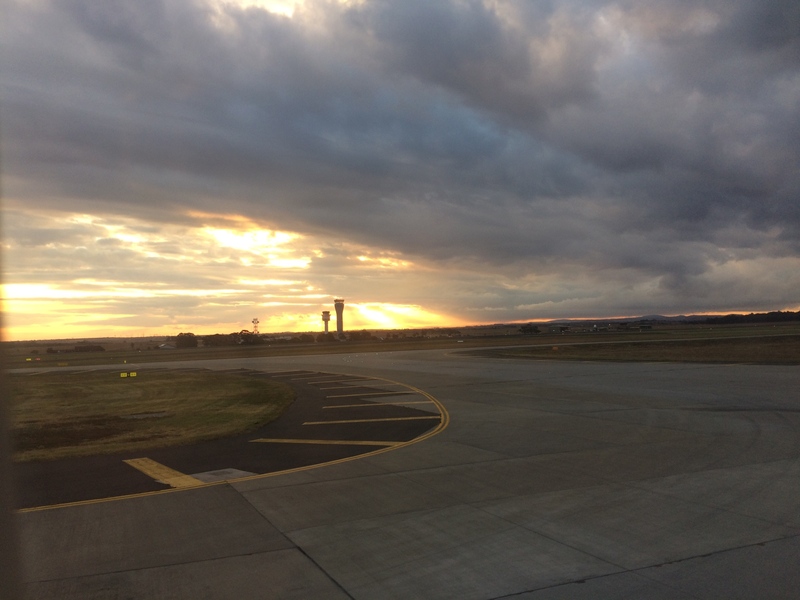 Scheduled departure – 5:35 pm. 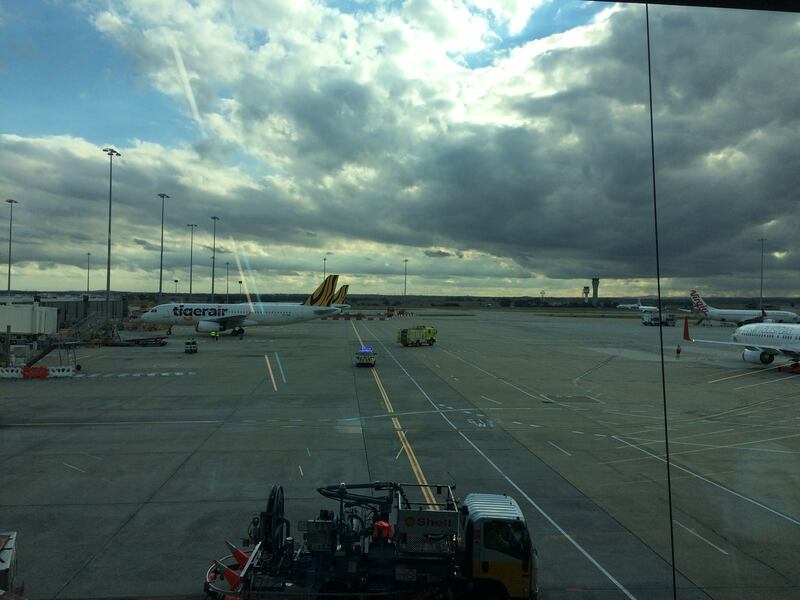 We had to wait for push back clearance as the departure gates were busy by this time of day. An announcement from the cockpit advised us of our departure and the usual weather and flight times. I don’t recall hearing the term cockpit, from the flight deck in a while. I much prefer the latter (nowadays). My ears were already responding to the air pressure as we started the take-off roll, but as I recall they were fine during this flight, which for me is a great bonus. 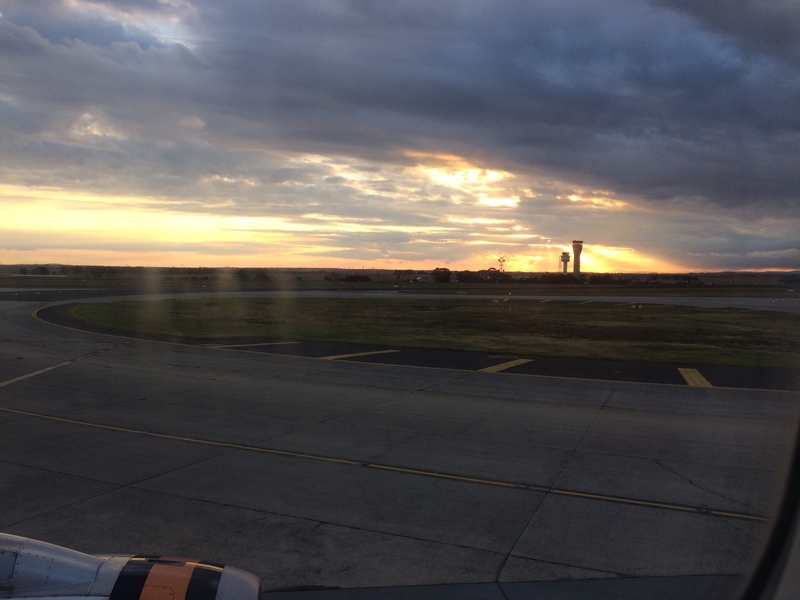 Actual departure – 5:49 pm + Take off: 5:50pm. 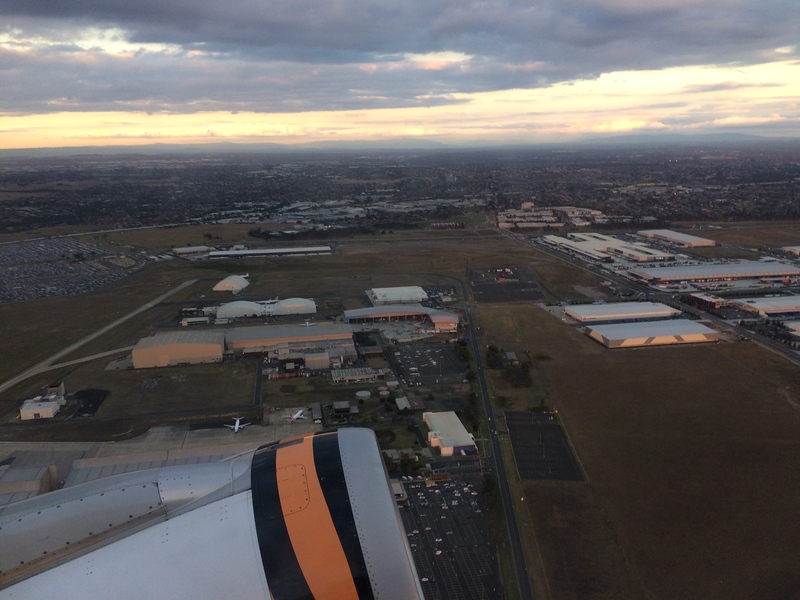 We took off to the south, and I had a view of the smaller and original Melbourne (Essendon) Airport (MEB) as we climbed out, enclosed in part by the Tullamarine Freeway. Taking off in this direction meant we had to bank almost a full circle to get on track to CBR. The setting sun and the light was quite mesmerising, along with the sound of the aircraft and the sensation of bank angle and climb. We were making up good time, for our delayed departure. It was time for the food to come out. When the FA came to my row I was not sure whether my meal was going to be passed to me, so I asked for it. It was given to me, but I say this, as I am not sure if I hadn’t asked whether they would have done so. I could tell they were in a hurry. 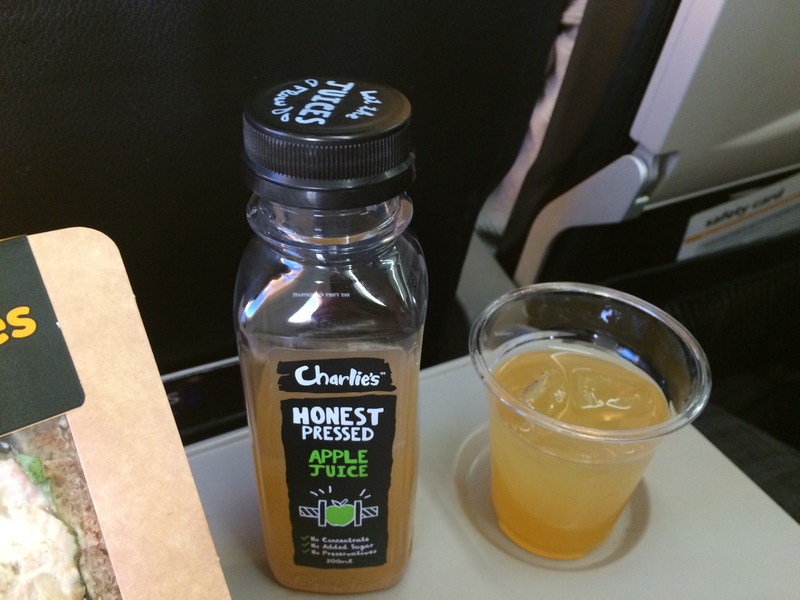 Not many people used inflight catering buy on board, as not many people had pre-purchased, at least in the area where I was sitting. As an airline that does not provide on board refreshments inclusive to the whole flight as normal routine, it does make the FA workload easier in this regard. As you can see from the photo, I didn’t get my Pringles. The drink was sufficient. The sandwich was alright, but a bit too spiced up. I think it looked better than it tasted. 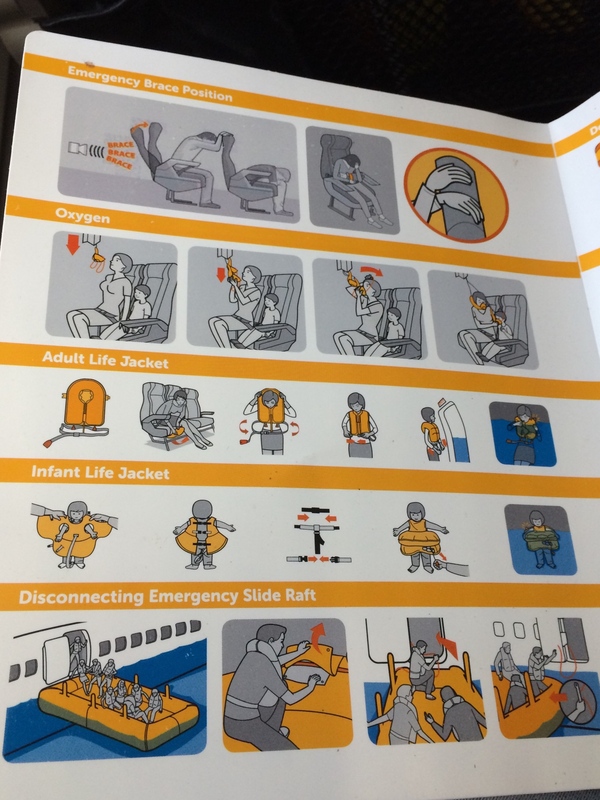 At least in Row 7 you can get served and eat at leisure on the MEL-CBR without eating or drinking so fast from lack of time, and an increased risk of getting indigestion! Fires on the landscape produce the haze and colour effect here. 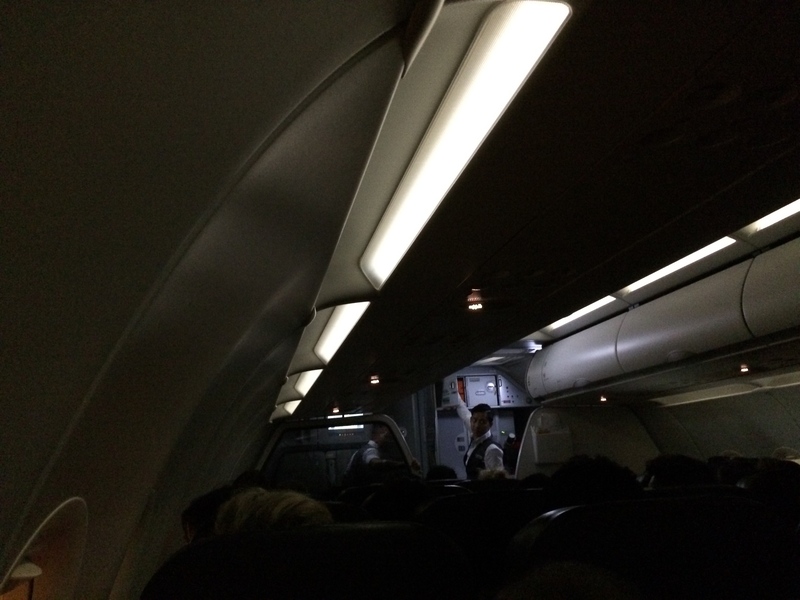 The landing lights came on and the cabin lighting was dimmed. The landing was quite routine and uneventful, although there was an almighty deafening noise coming from the overhead bins on touchdown and reverse thrust. It sounded like there were a thousand marbles rolling around in the overhead bins, as if the bins were completely empty. Interesting! 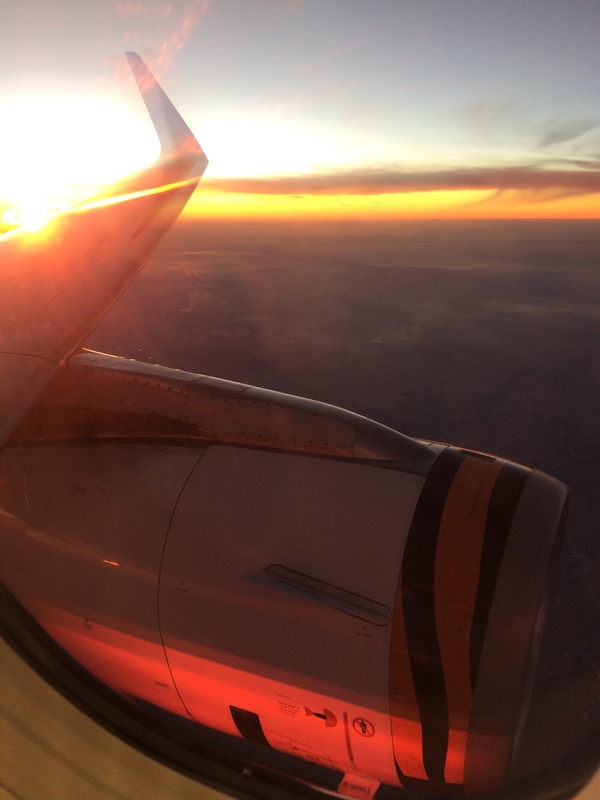 There is always something new to experience, even on a routine flight! Needless to say, it was a fast flight! In fact, the fastest I have ever recalled experiencing on that route, and I have flown it often. It was over all too soon, sadly. I called my Uber in the designated waiting lounge, after collecting my luggage at the carousel. 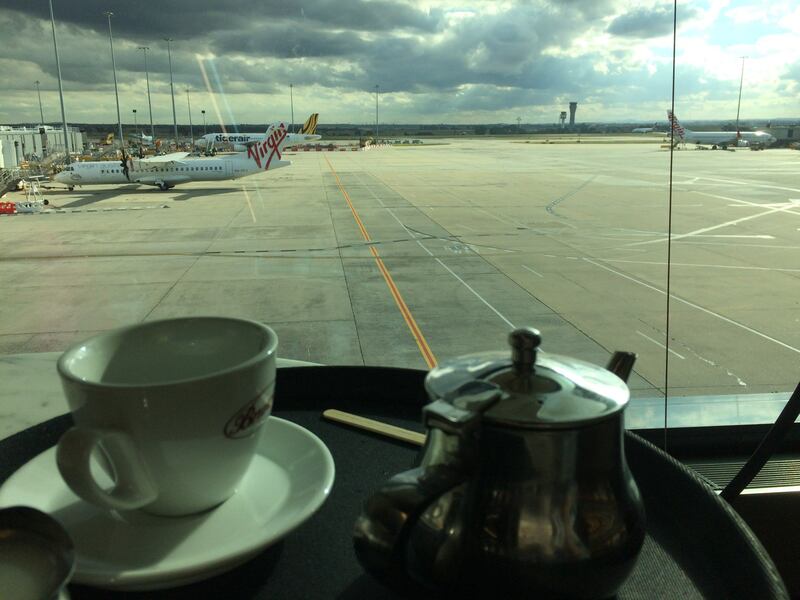 No frills or no fuss seems to be more fuss, than booking a flight with QF, or even VA, to a lesser extent – on the domestic routes. These are my own thoughts and experiences of course. I understand that people have more options, and are not paying for things they don’t use, like checked-in luggage. I also get that if you fly with TT regularly, the booking process becomes easier and more routine. 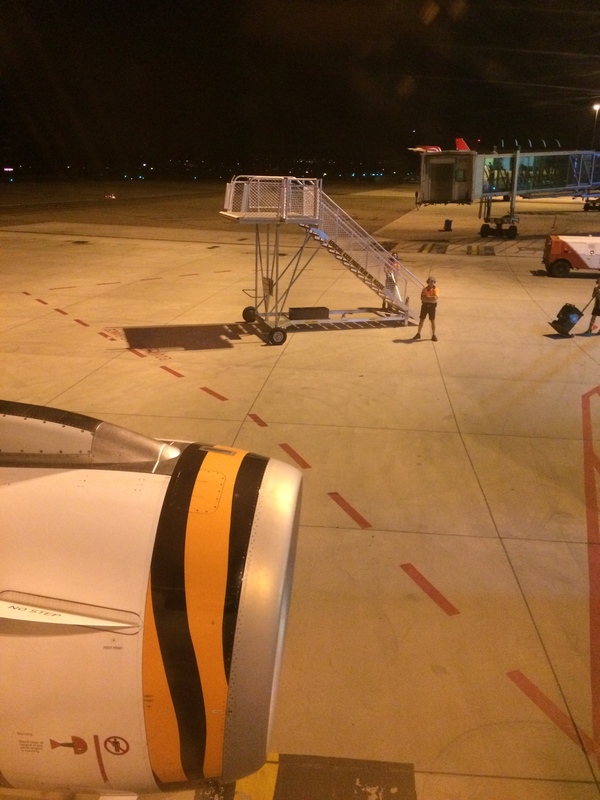 Would I fly Tigerair Australia again? 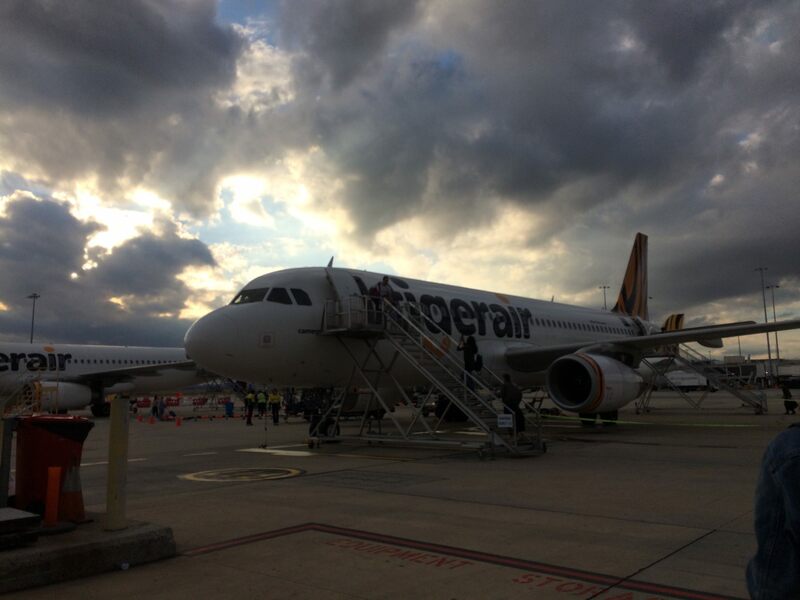 To me, this flight seems to be a token LCC on this route, and to CBR, rather than a genuine LCC flight. It is good to have the choice, and choice is something we don’t have a lot of on this route. 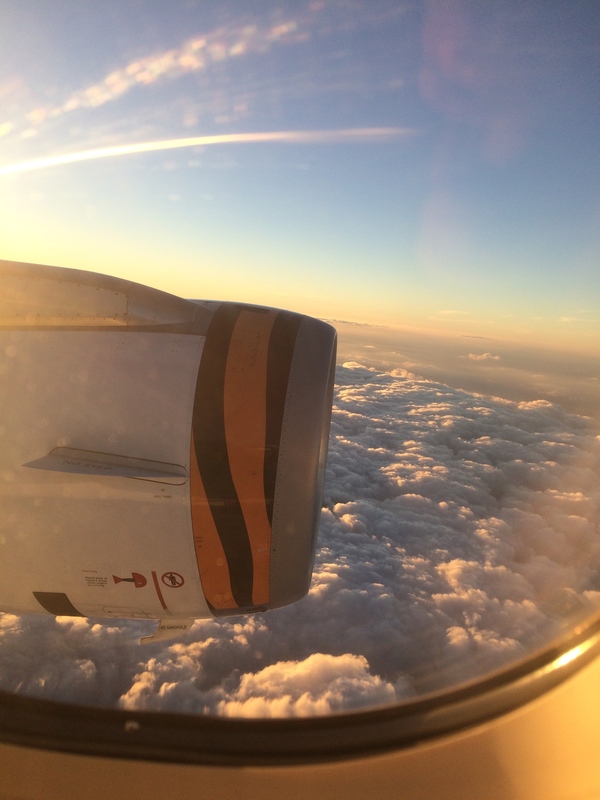 As said, I flew it for the aircraft type and the experience of a new airline for me. I wouldn’t choose in the first instance to fly TT again on this route or other domestic routes for these reasons: I have a Qantas Frequent Flyer membership (as mentioned earlier, I am in the Velocity Frequent Flyer program with Virgin Australia too though, but don’t use it as often); I find the booking process for my needs, to be a less seamless process than QF my preferred carrier; I had the problem using the app, in contrast to QF where the app works very well and is consistently reliable. As mentioned, I don’t think the price is competitive enough on the route, or at least, for my travel needs. There is also not enough flight availability, compared to its competitors. The fact that my flight was cancelled and I got put onto a later service inconvenienced me a bit, coupled by the fact that I wasn’t notified until I went onto the website to check my booking when I was making associated travel plans. 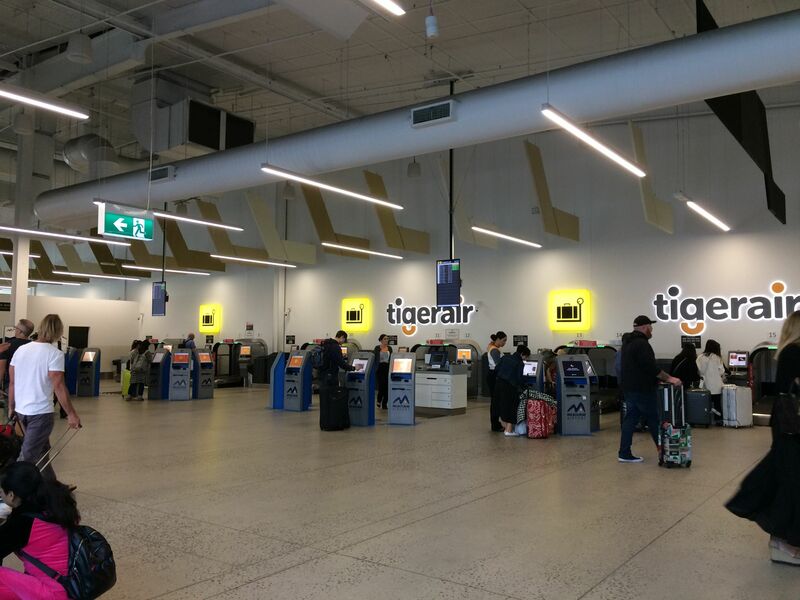 Tigerair Australia use T4 at Melbourne Airport (MEL) and this for me wasn’t a great experience, and for someone that likes to hang out at airports for hours on end. I thought the cabin crew were efficient, professional and friendly. 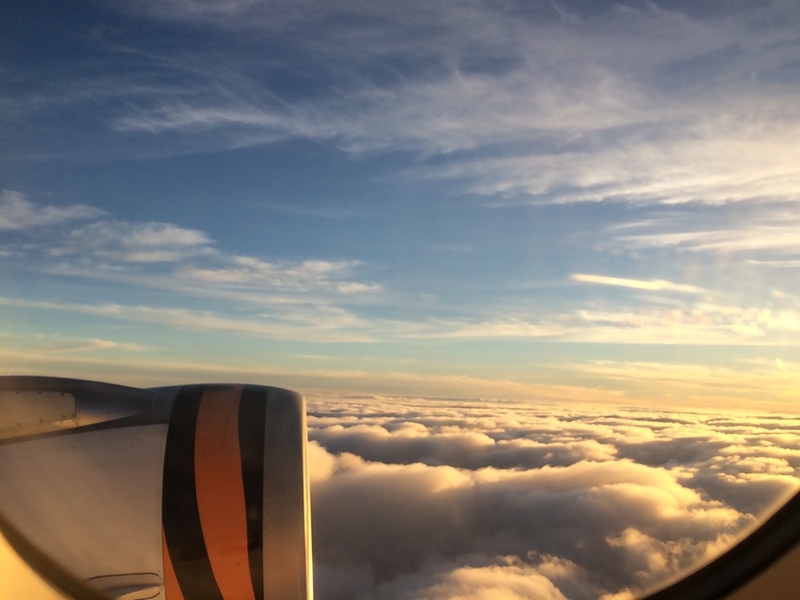 I felt safe at all times and well looked after, in all aspects of the flight. 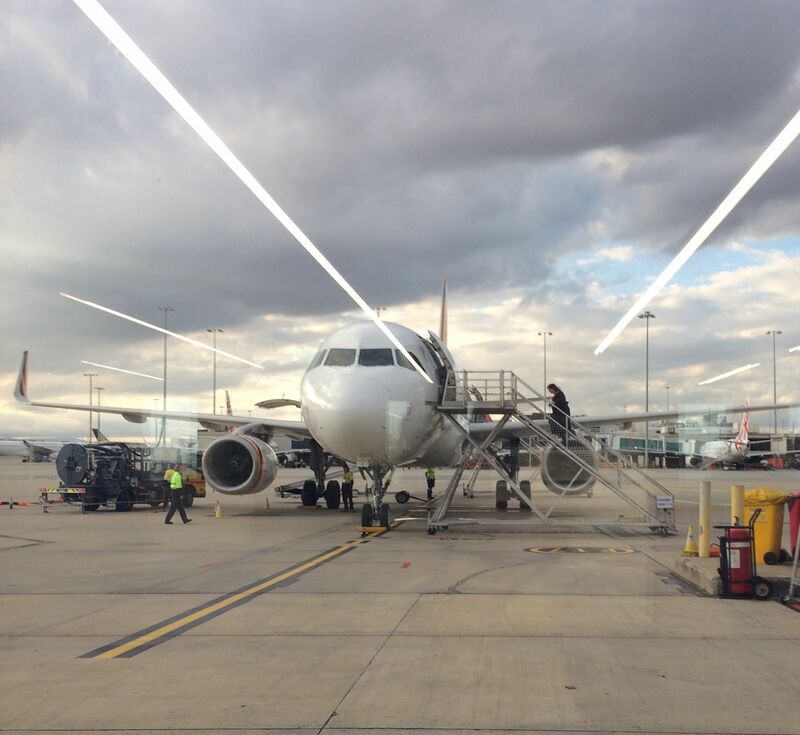 I could tell that the cabin crew were working to a tight schedule with the short flight and delay on departure. Didn’t see the flight crew at all. The announcements were good, by that I mean enough, in length and in frequency. After all this though, I personally do hope TT continue to fly this route. 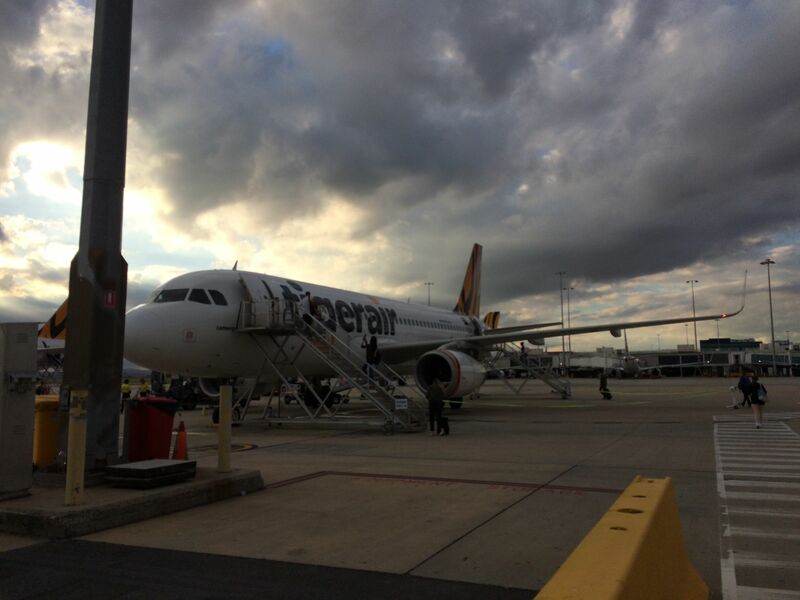 They also fly CBR to BNE. 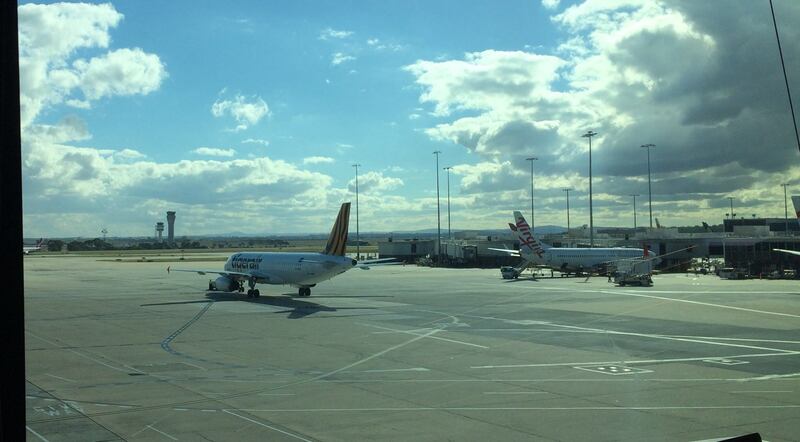 Not sure what the loads are but it is nice to see a yellow tail in the skies and at the airport rather than just the usual red and white domestic liveries! Thank you for reading or browsing my report. Thank you for this comprehensive report. Loved the photo's, you got some really good shots, especially out of MEL. As you may know, I am a QF tragic, and when I travel (not often these days), I like reliability (lots of it), hence TT is not an option for me. Your comments about the LCC are interesting. 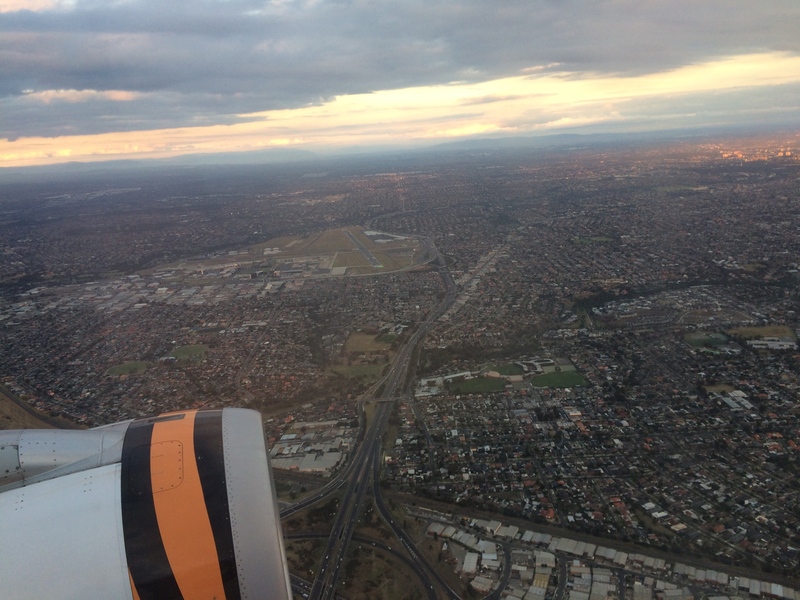 I personally do not think we have the true LCC model here in OZ (do we really want it?). Anyway mate, thanks, another gem report from you. I'd dare say Australians want the LCC prices but not the full LCC experience - there is still an expectation that luggage and food is included on a $40 MEL-SYD TT/JQ ticket, that a full catering table is provided at the gate for a 30 minute delay, and that they can check in for a flight 15 minutes before departure (clearly they've never gone through security at peak hour lol). This is a fantastic TR, and one thing it definitely highlights is if you decide to completely deck out the experience by buying checked luggage, food, travel insurance etc, the cost difference isn't that great between the LCC's and the full service airlines here. In my experience I've found that the hand luggage only fares are definitely cheaper, but even just adding 20kg of checked luggage can reduce the cost difference between TT/JQ and VA/QF significantly. if you're adding anything like food or seat selection, then VA/QF may actually end up being cheaper than TT/JQ. Hi TN486, thank you for leaving a comment. Glad you like the photos. 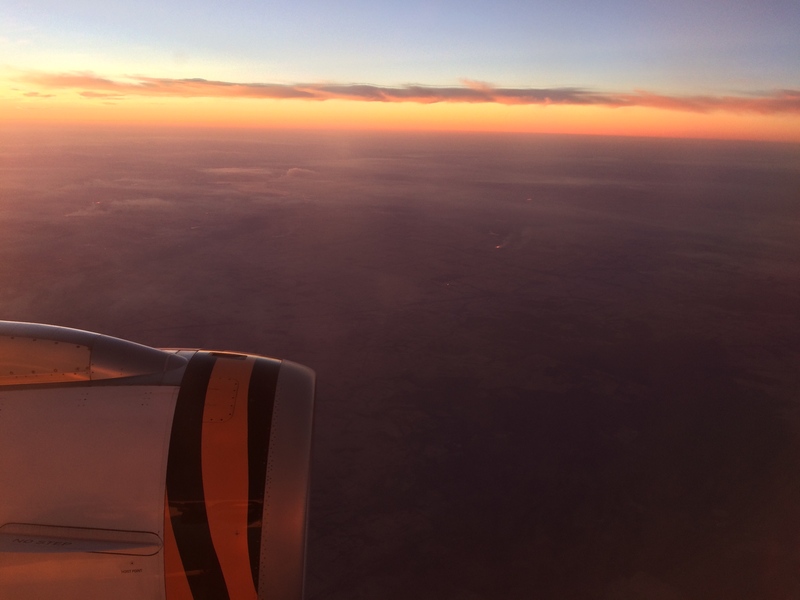 There is only so much I could snap and say about a short, domestic routine flight, but as said it was worth it to get a bit of an insight into the LCC side of things in Australia and on the east coast. As I haven't flown LCC in Europe or the U.S., as examples I can't directly compare from experience, but I agree, I don't think we do have the true LCC model, and no, it would not be supported fully enough ongoing to make it so? QF are the dominant player. Our population, and the breakdown on reasons for travel would be other factors? 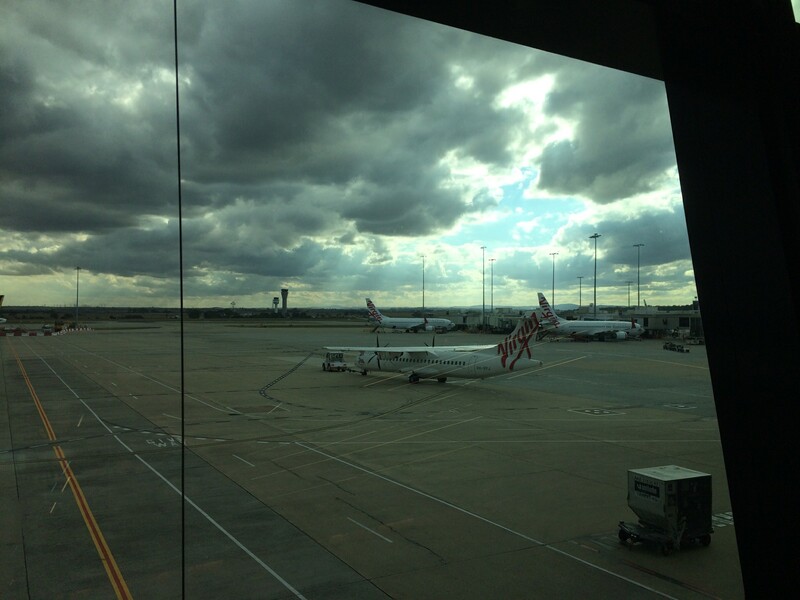 This is an interesting reference below, it is a comparison of Australian domestic airlines. It compared cost, pax satisfaction levels, delays and cancellations, and safety. 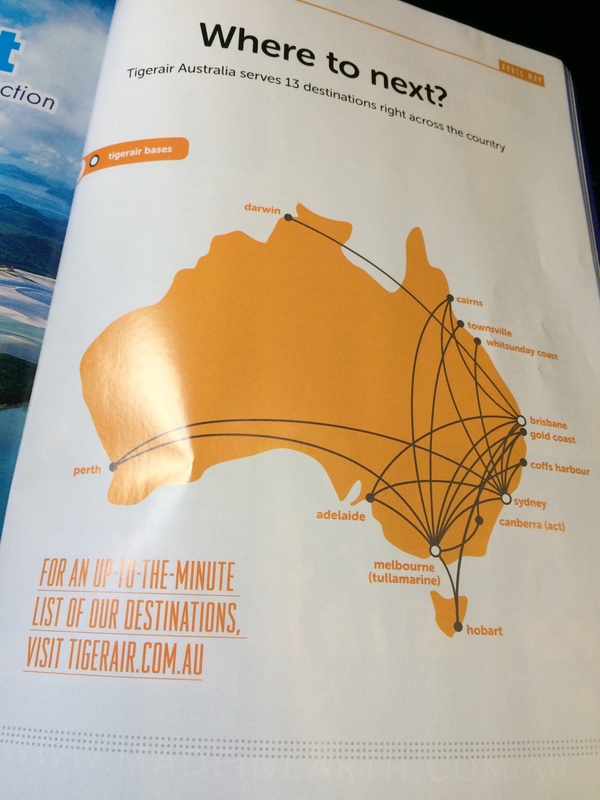 Interestingly, it states that Tigerair is not only the cheapest airline in Australia in cents per kilometre, but globally?! 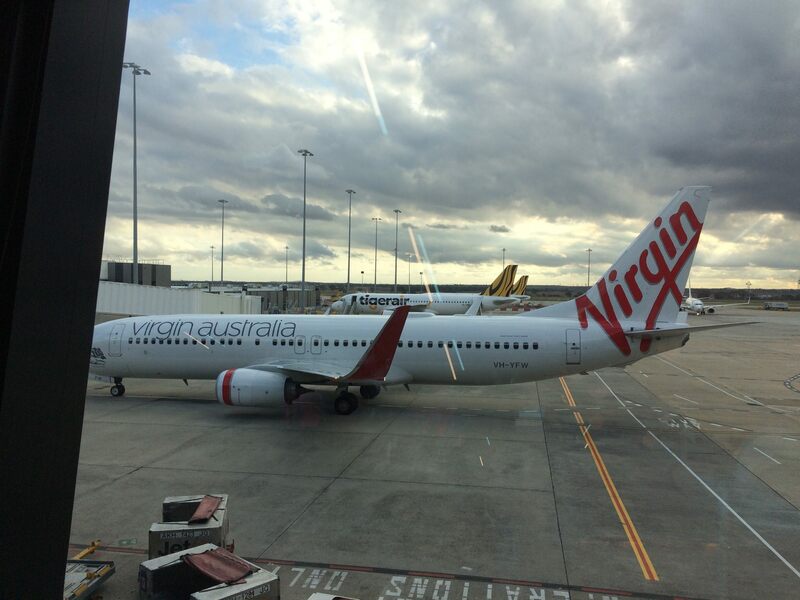 It also said "Qantas, Virgin and Jetstar were all named on Airline Ratings' lists of the world's safest airlines in 2018. 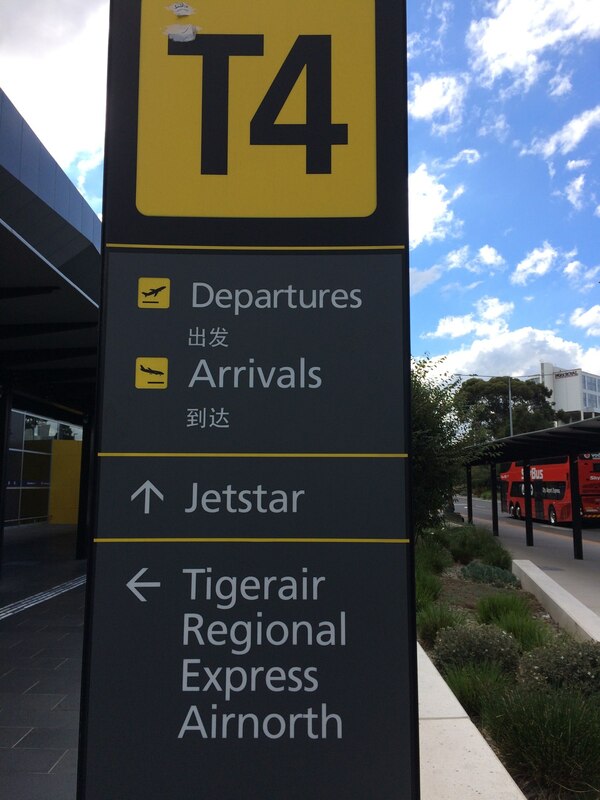 The three airlines scored seven stars out of seven, while Tigerair scored only five. The two stars were deducted because the airline isn't IOSA-certified. 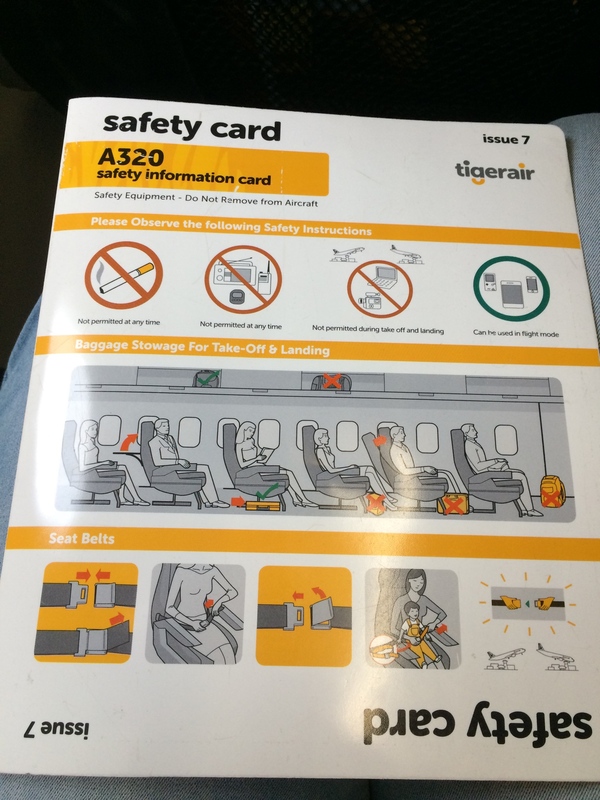 The International Air Transport Association Operational Safety Audit (IOSA) is voluntary, however, and Tigerair only needs to meet Australia's strict aviation safety standards to stay in the air. 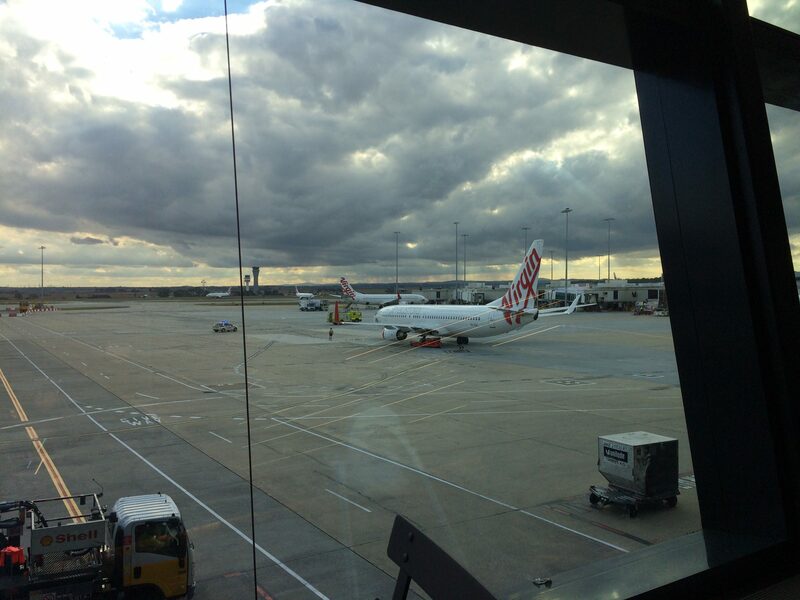 ... All of Australia's commercial planes are relatively young, and Qantas actually has the oldest fleet. 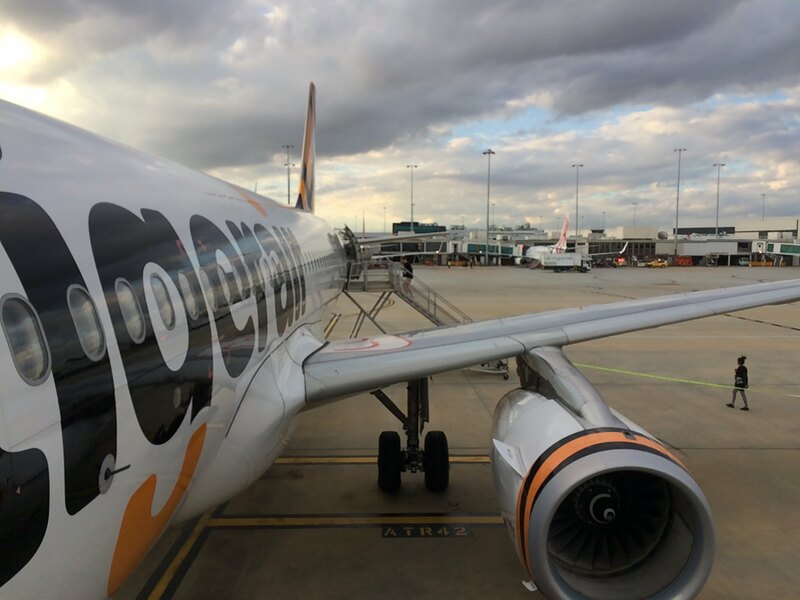 Approximate average age of aircraft fleet - Qantas: 10.7 years; Virgin Australia: 7.6 years; Jetstar: 8 years; Tigerair: 9.7 years." I assume the QF figure would be because they would also have the largest fleet? Hi brucetiki, thank you for leaving a comment. Yes, well that certainly does apply to me LOL. I like value, and I like inclusive catering service. I like to be waited on, I don't like luggage restrictions - within reason. 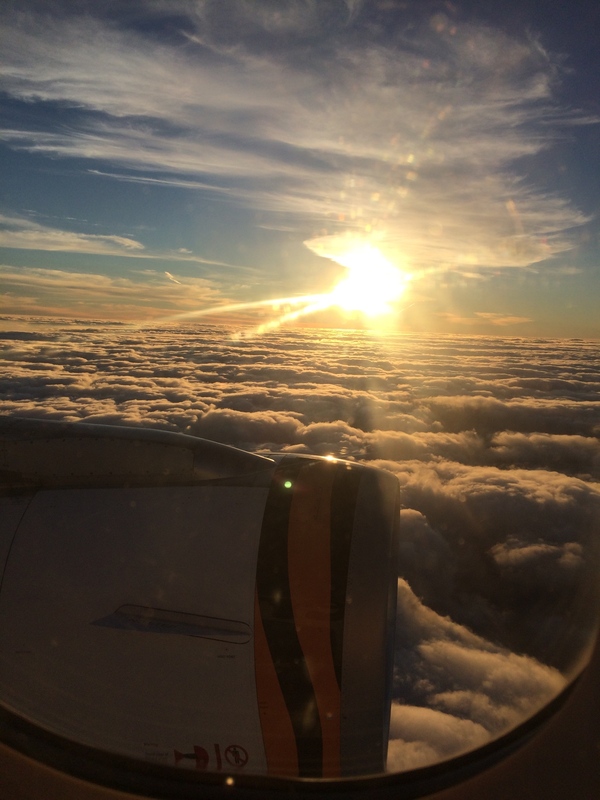 I like the flight to be on time, and to be kept informed if not, I like to be looked after. I like the information technology to work and be reliable. I have some brand loyalty and I like the company to have a good reputation. I am prepared to pay more for all of this and have the flexibility for this option. Are we spoiled with QF.. We have a high expectation, and perhaps all of the other four or more get dragged upward with this expectation. 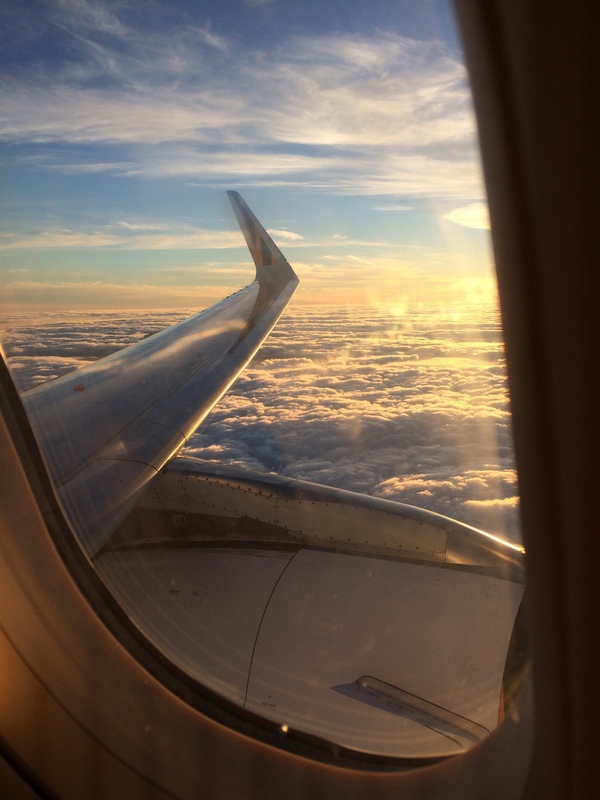 Yes, by having carry on luggage only is definitely a good flight cost saving, but the frequency of flights, and the on-time reliability are also very important. ..see, my bias and old habits are creeping in again here. I have never travelled without checked-in luggage yet, will have to do that sometime! A day trip somewhere. Hi VapourTrails, reading your reports is such a pleasure. You've made me regret not putting more detail into mine! Loved the photos, especially of the evening. 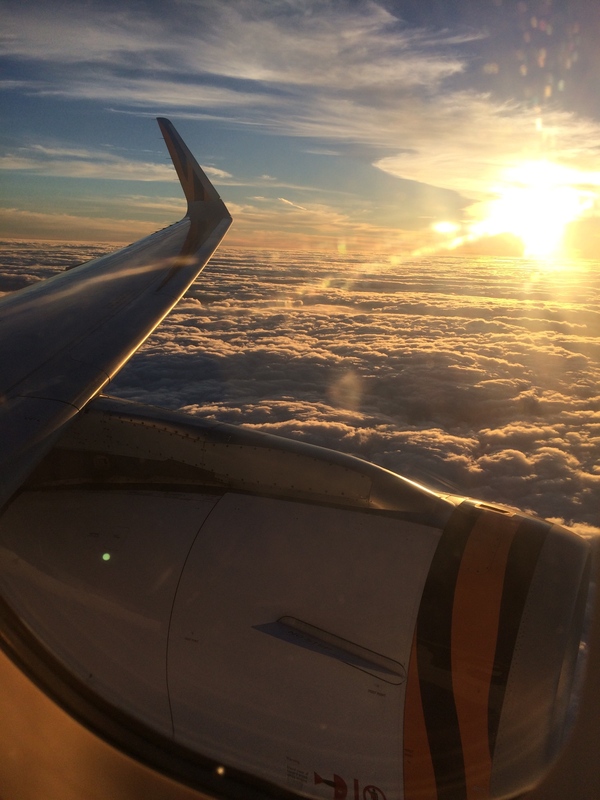 I've never flown Tigerair before so it's good to read such a detailed perspective on the experience of flying with them. About the only thing they can have going for them is the price. 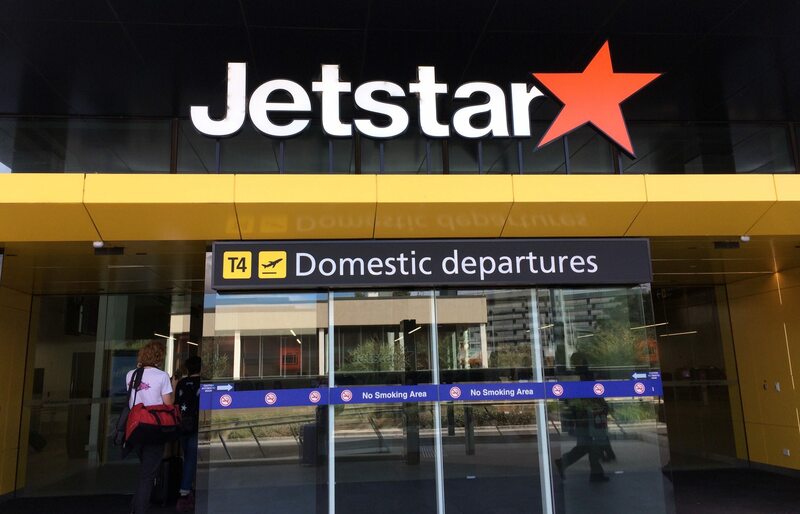 At least with Jetstar you can pay extra to earn Qantas frequent flyer points, have a meal, baggage etc, so if you are wedded into the Qantas ecosystem you find yourself uninclined to leave, especially if they can't offer better frequency or planes. I also wanted to fly on an Airbus again, as it had been three years, and that opportunity does not normally come up for me on my travels. So do you prefer the Airbus or the Boeing? The issues you had with things like apps and websites really annoy me (it's kind of my job). One problem is that they are using developed by third-parties and it's hard to get frontline staff to understand that it's a big problem and the company can actually be held legally liable for the incorrect information provided. Marketing would rather add a useless new popup that they read something about on a marketing blog somewhere... (Oh dear, I am ranting). 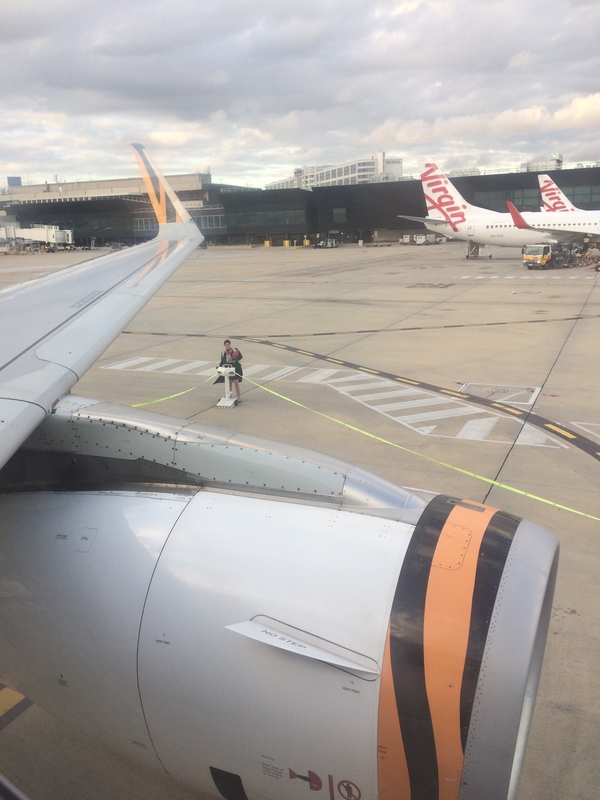 I've never flown Tigerair before so it's good to read such a detailed perspective on the experience of flying with them. Hi allrite, thank you for leaving a comment. As for Airbus or Boeing, I have to say.. Airbus. I prefer the Boeing philosophy, or that of ages past. I like the innovation and the look of the flight deck more on Airbus, and as I mentioned in my report, the fuselage not so low to the ground. I remember AN using them on domestic routes, great memories there. Haven't been on the flight deck of Airbus, but have Boeing, as so far my close ups of static displays have only given me the latter opportunity. As for both flying past my house, the Airbus, A320 in this case, in suprisingly noiser though. I look forward to your further commenting as mentioned below, and your further reports on the forum here. I do enjoy reading them. Thank you for your comment on the app here also. Hi CollegeAviator, thank you for leaving a comment. Yes, it seems that we need to work to stay on top of what is going on when booking a flight with them, so the service delivery is lacking for sure. I guess we need to watch and see how they perform heading into 2019 and beyond..